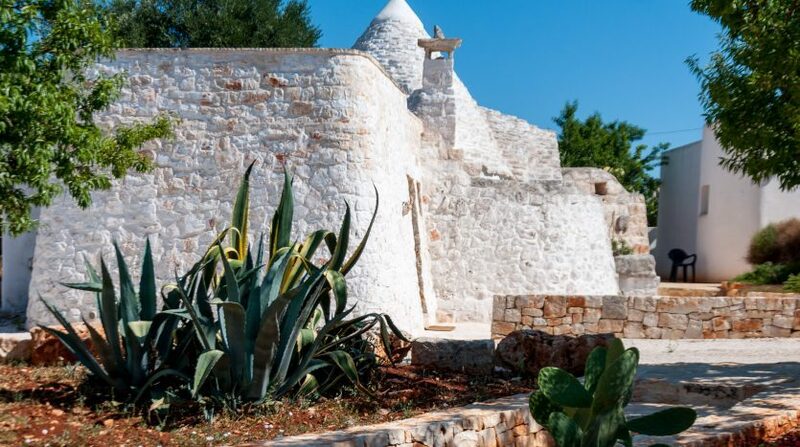 The Itria Valley in Apulia. 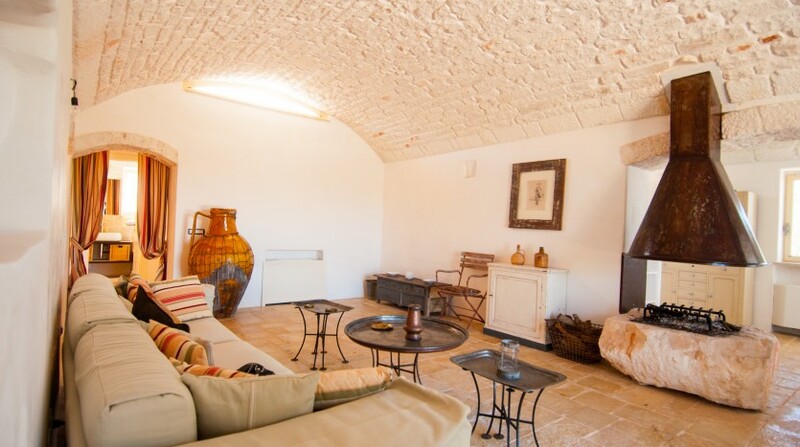 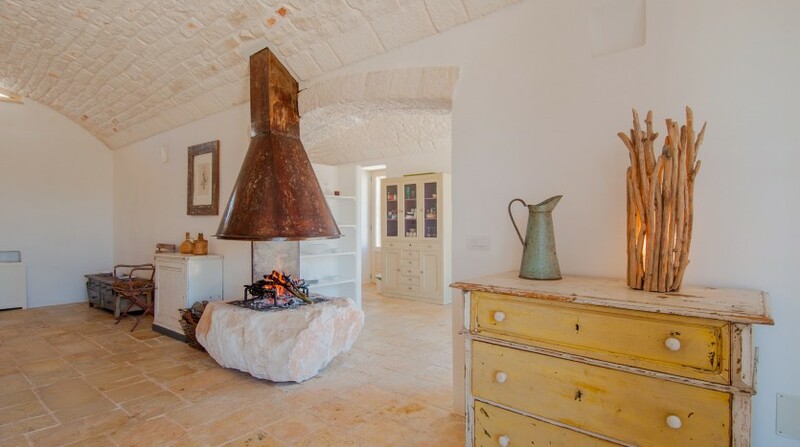 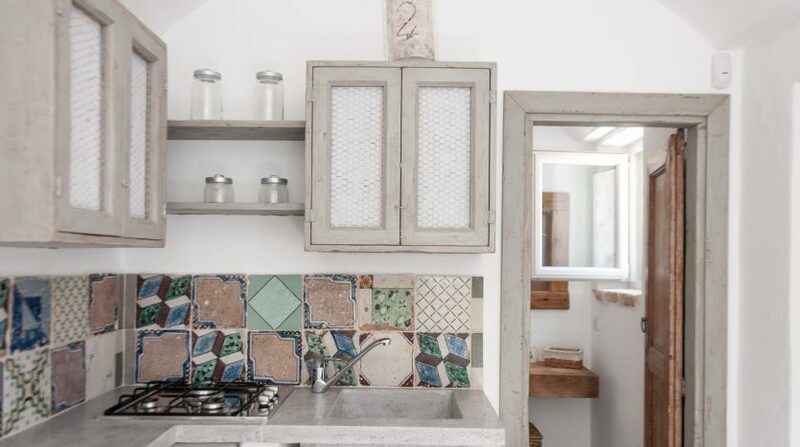 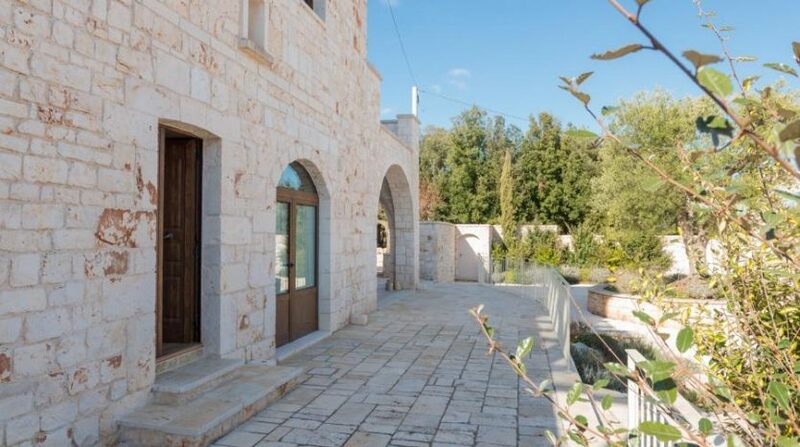 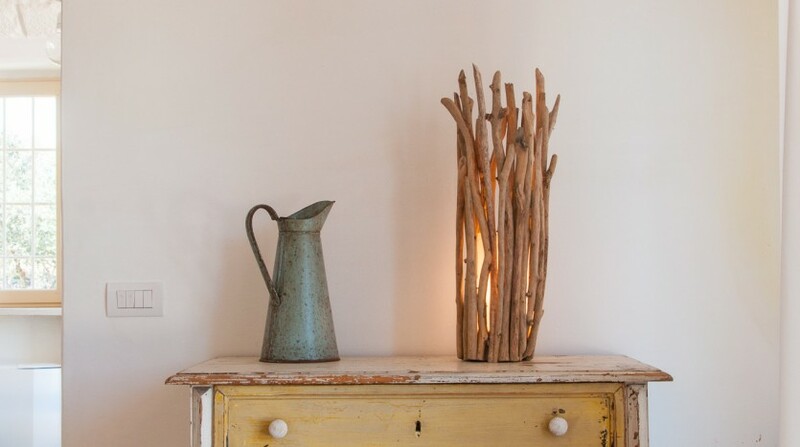 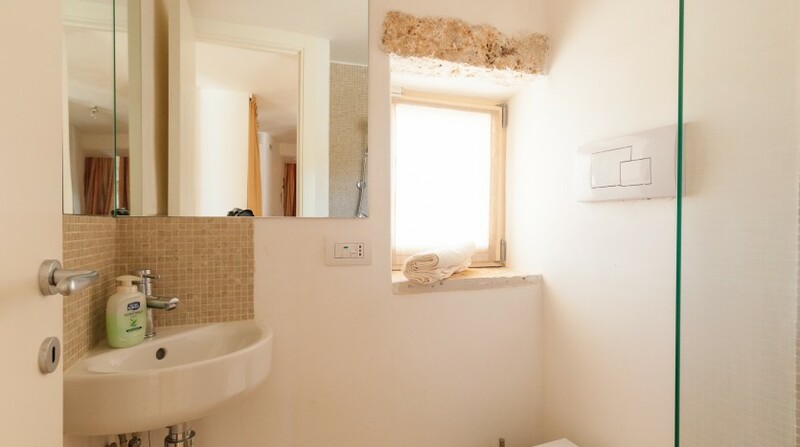 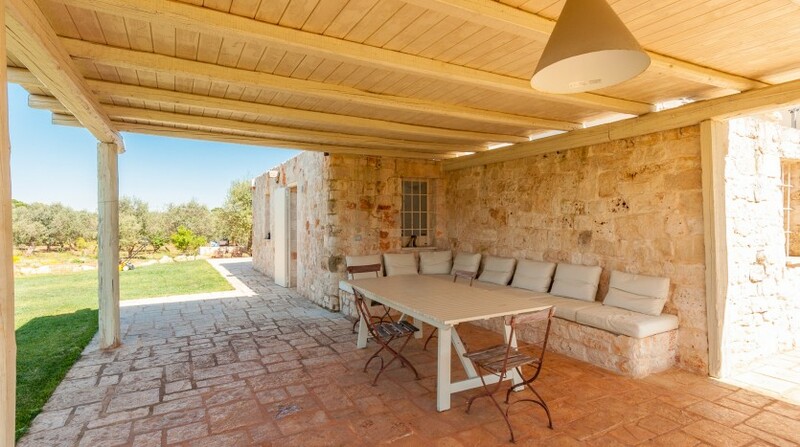 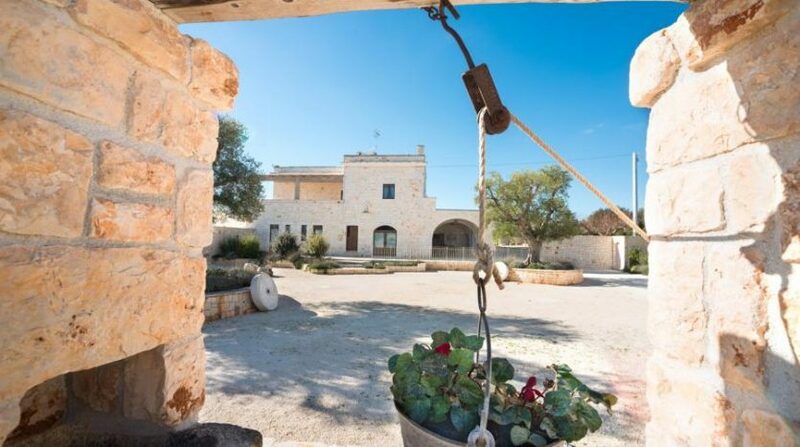 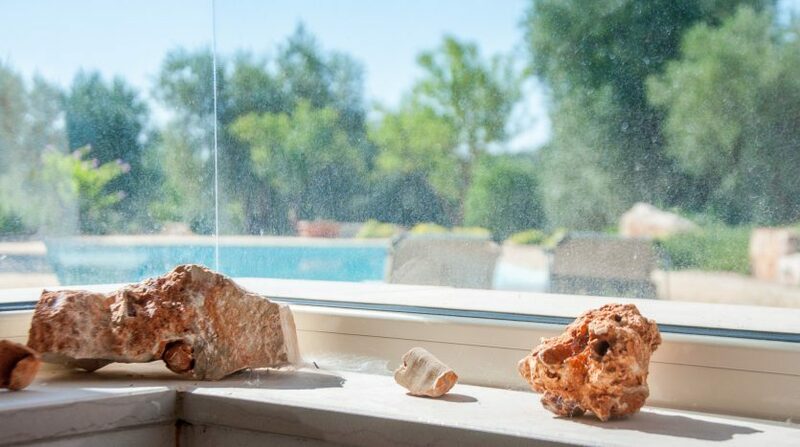 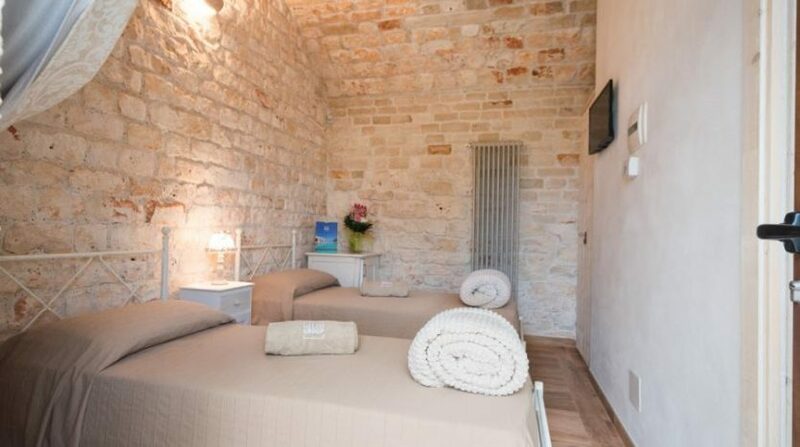 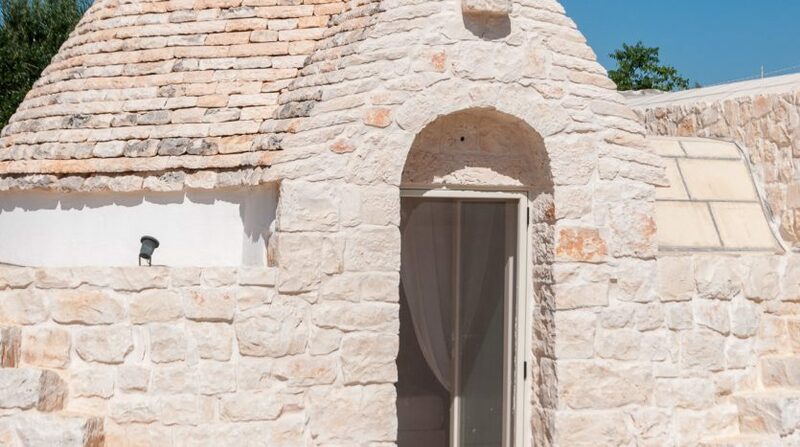 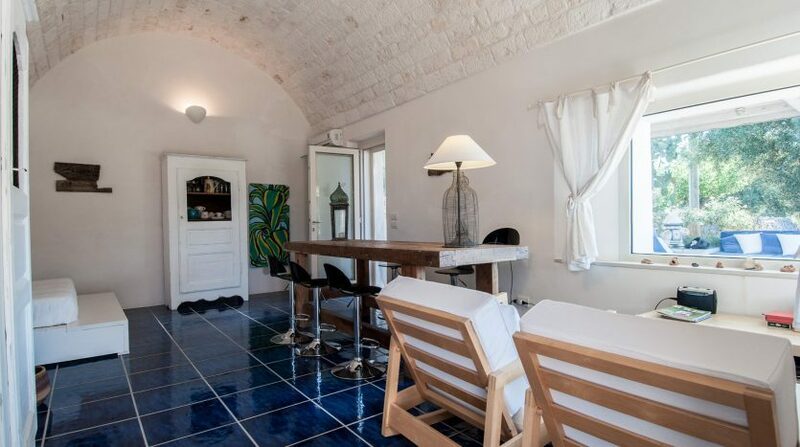 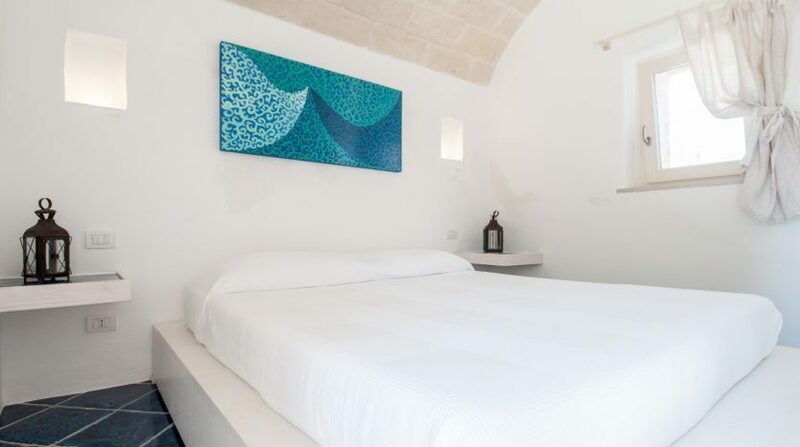 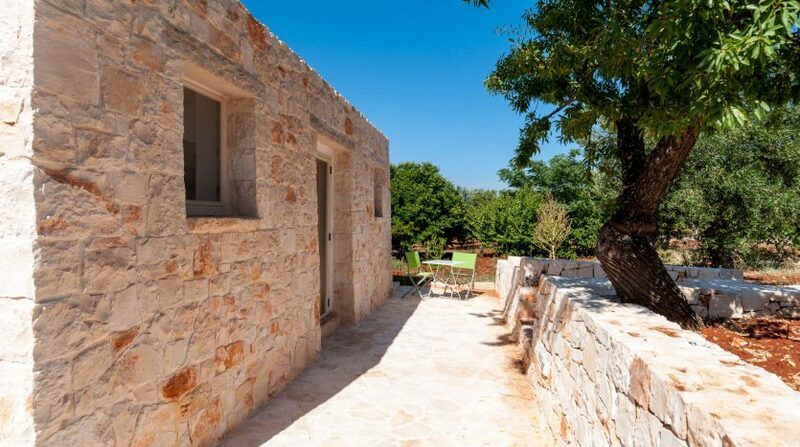 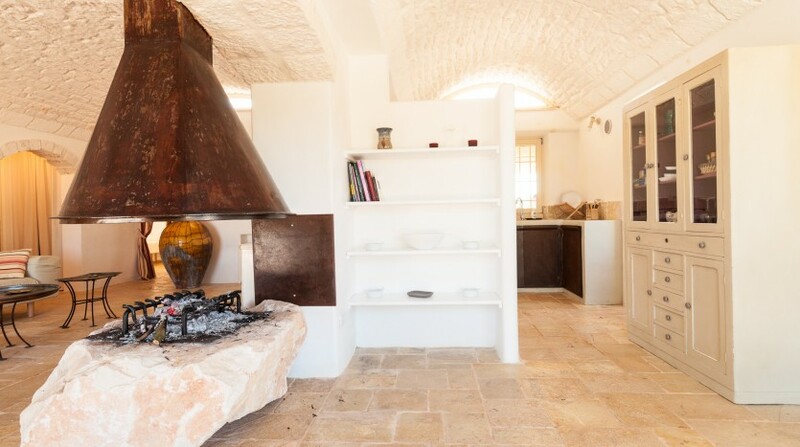 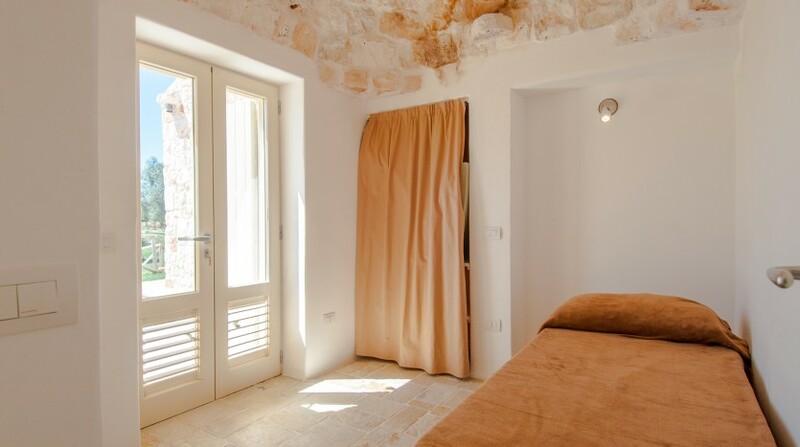 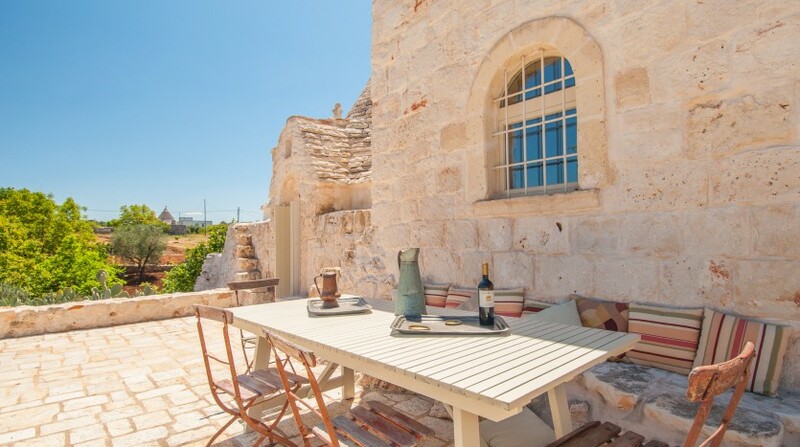 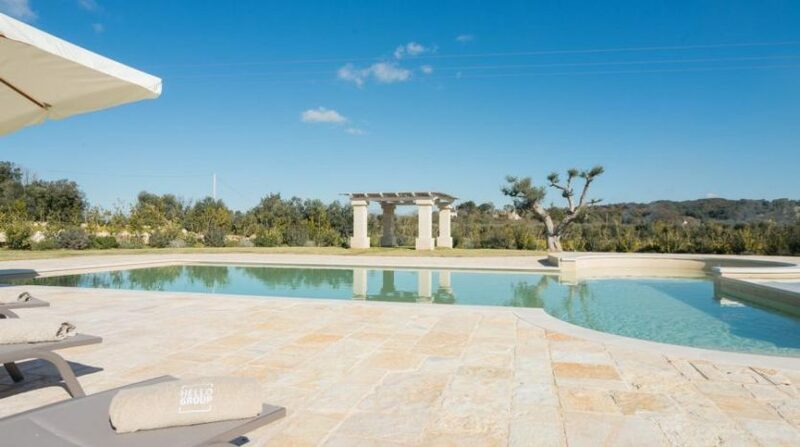 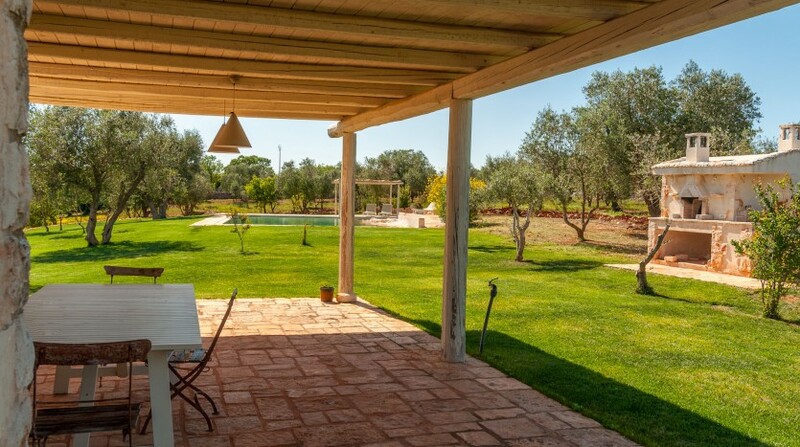 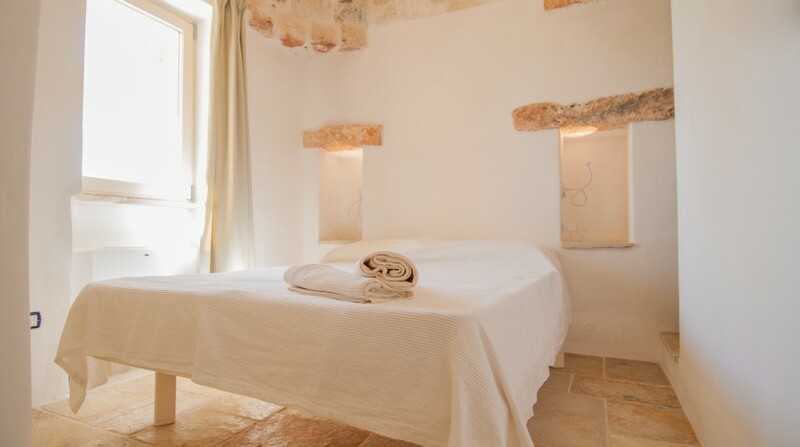 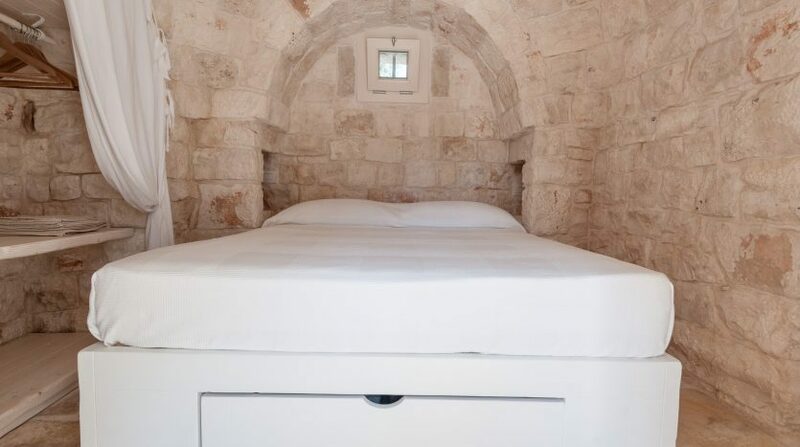 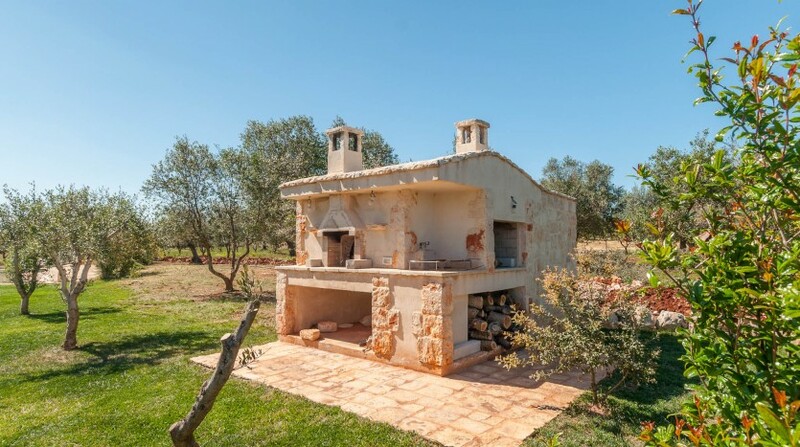 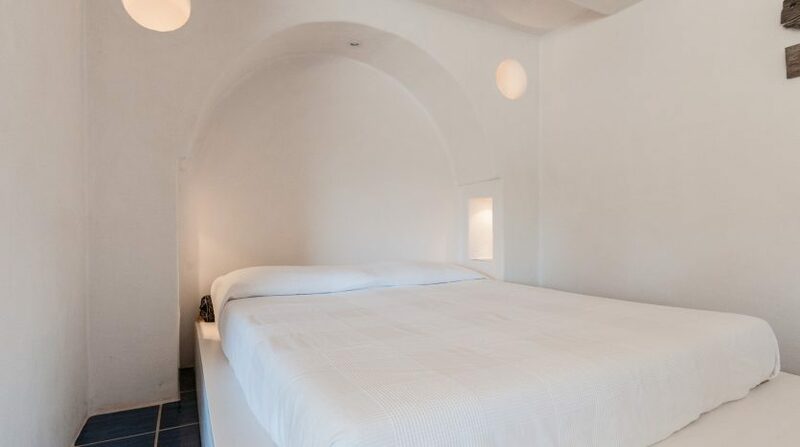 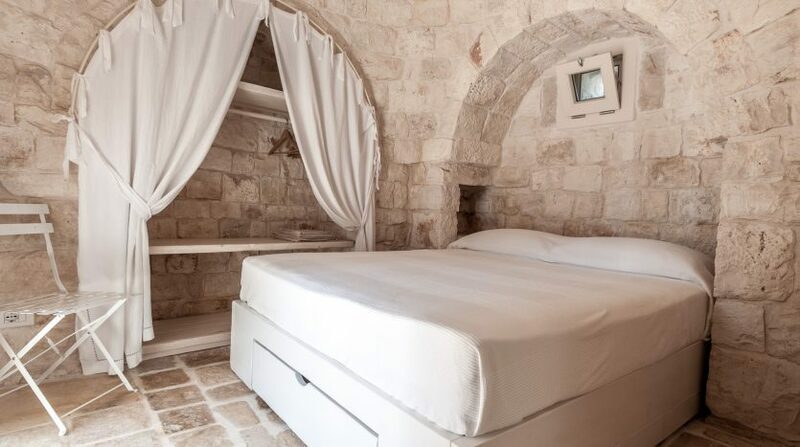 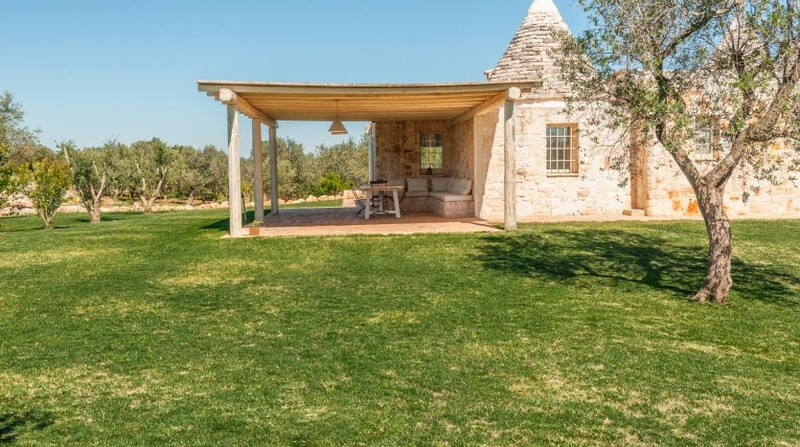 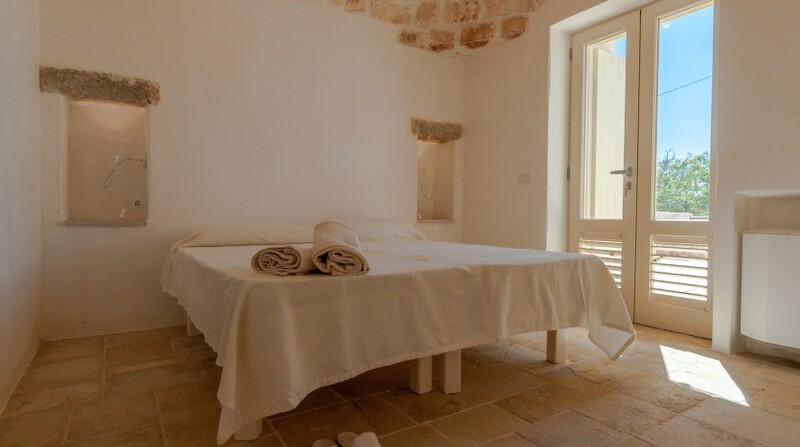 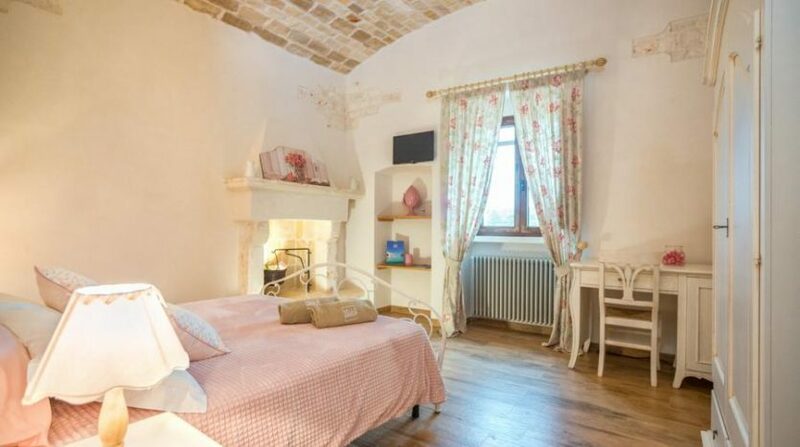 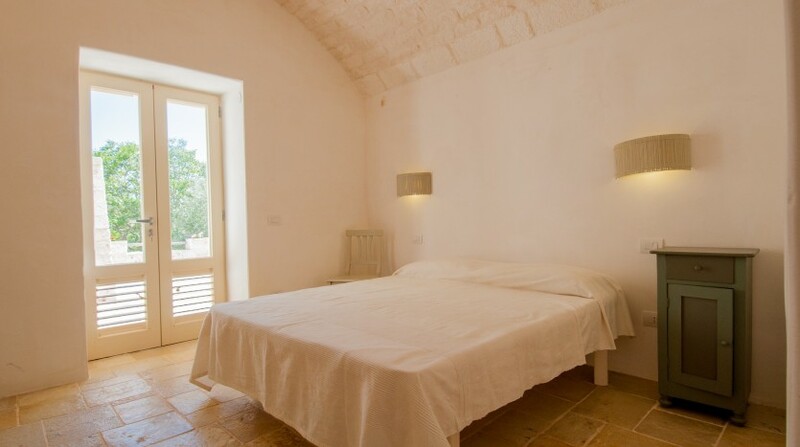 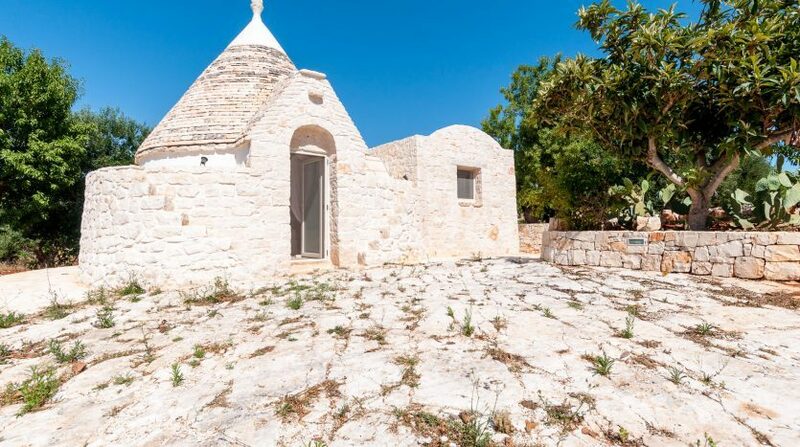 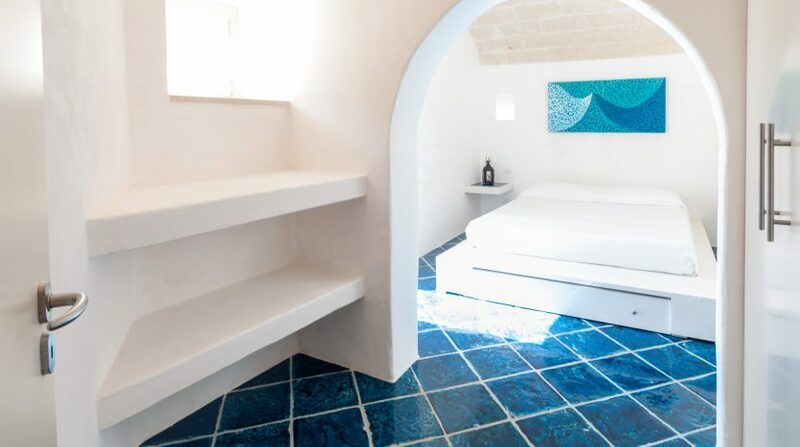 This Apulian masseria is your ideal holiday home, where you can enjoy one of the most beautiful parts of Apulia to the full. 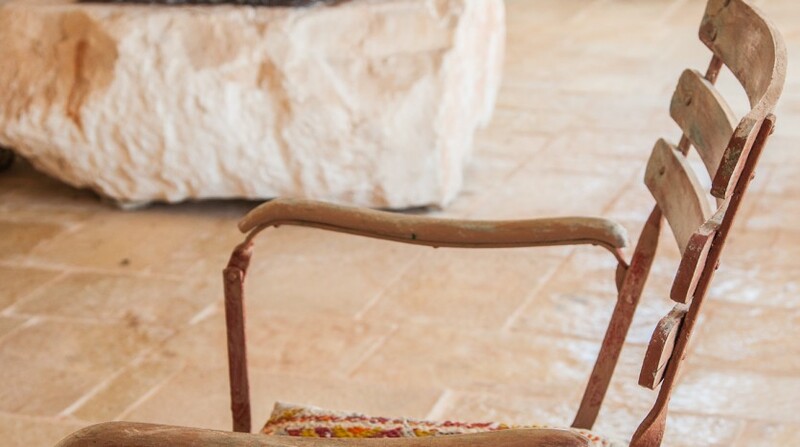 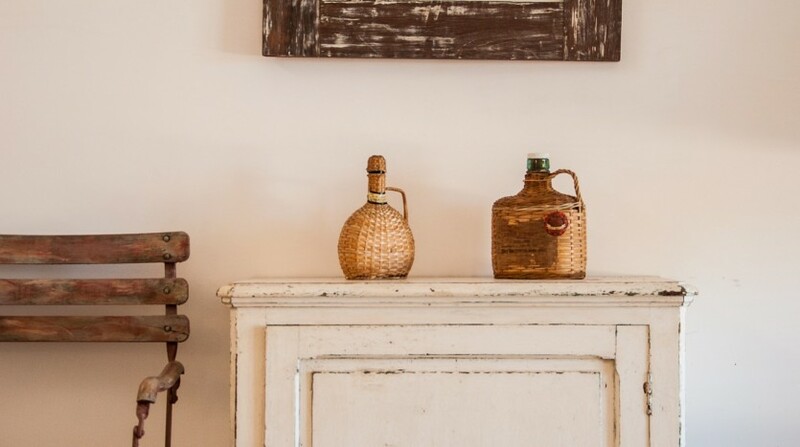 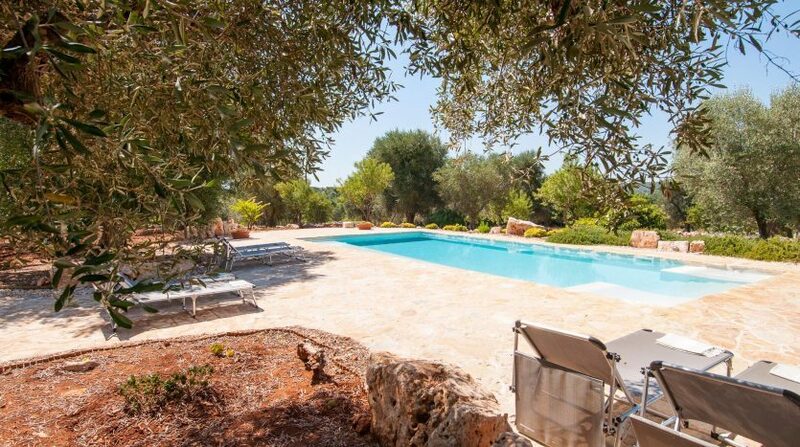 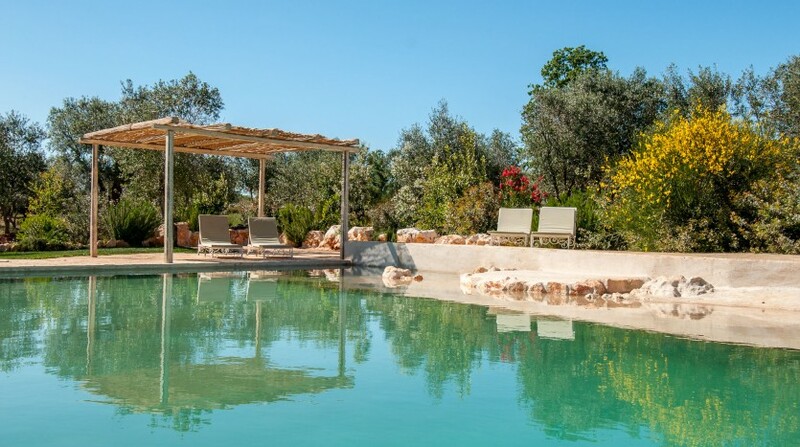 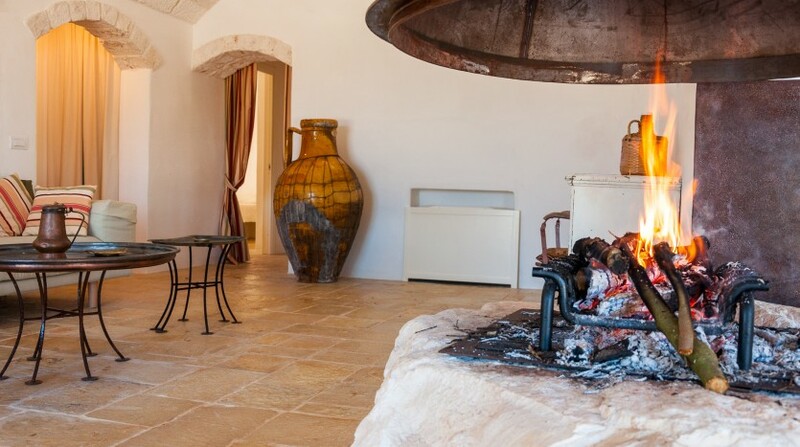 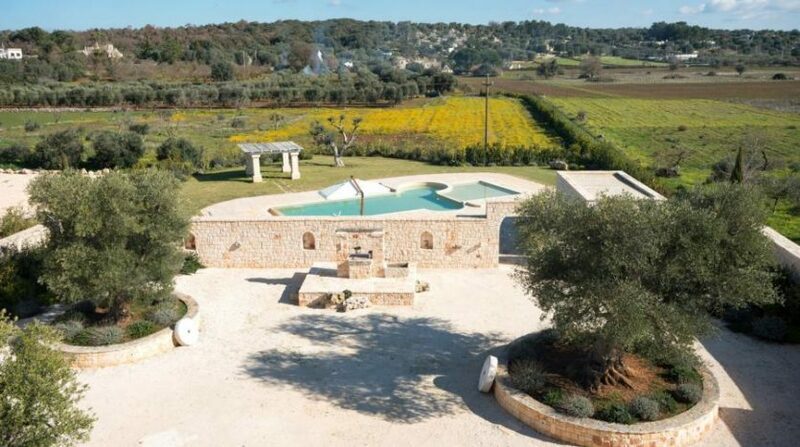 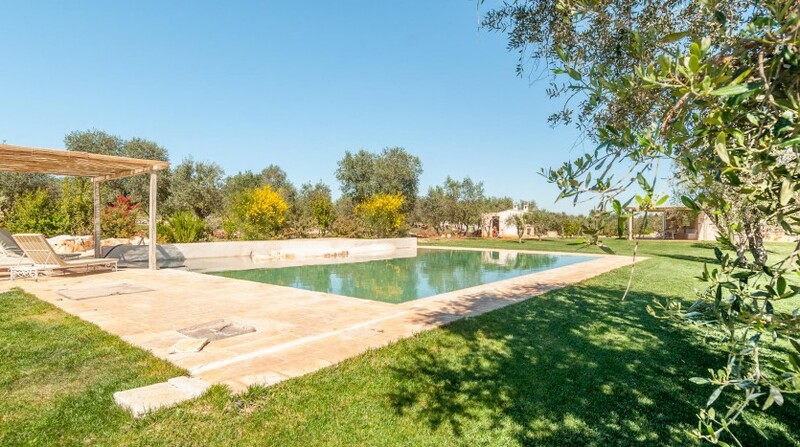 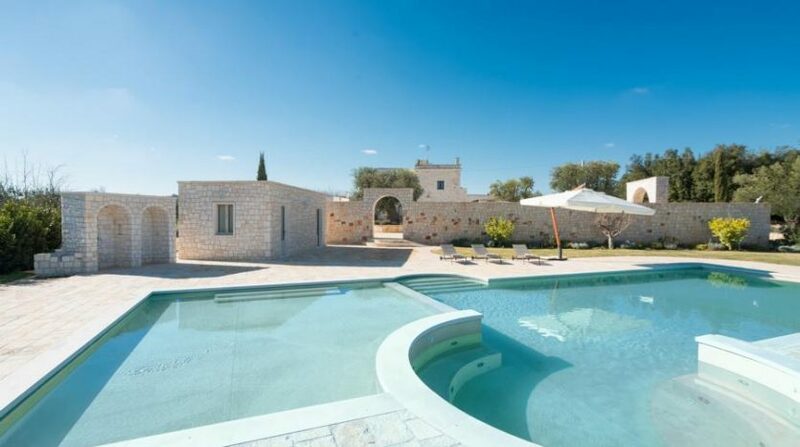 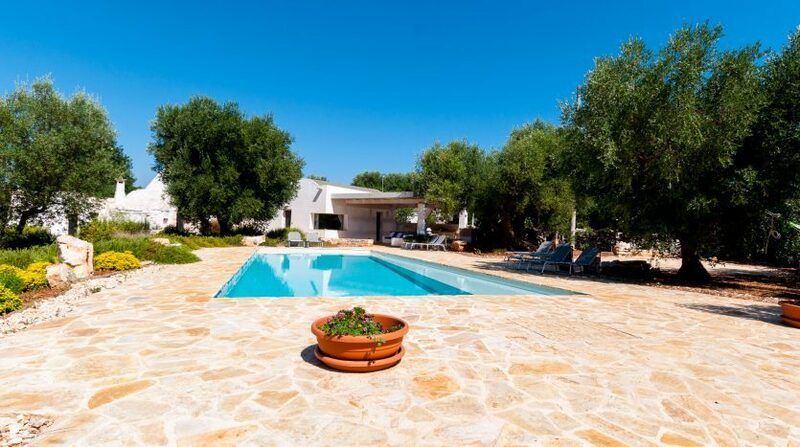 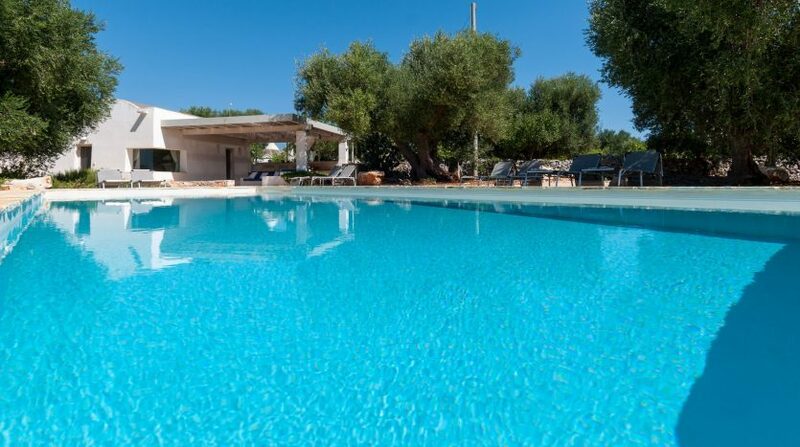 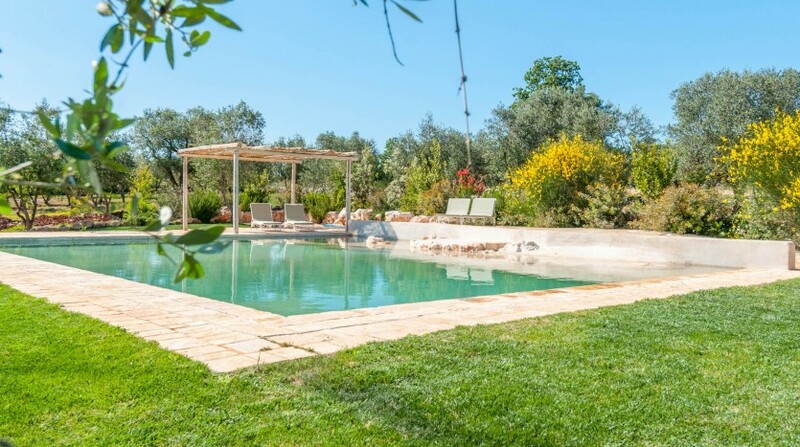 Masseria Orlando is a splendidly sprawling holiday villa with pool in Apulia. 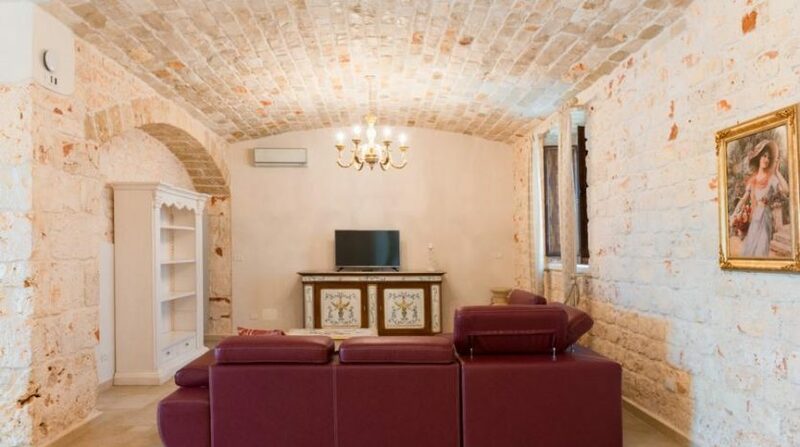 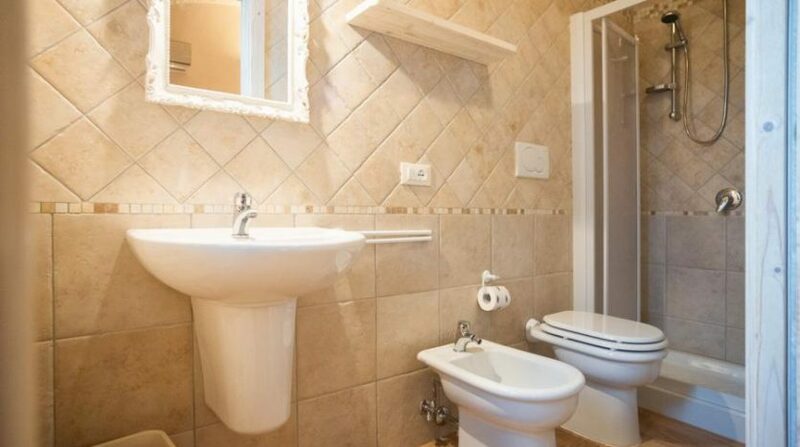 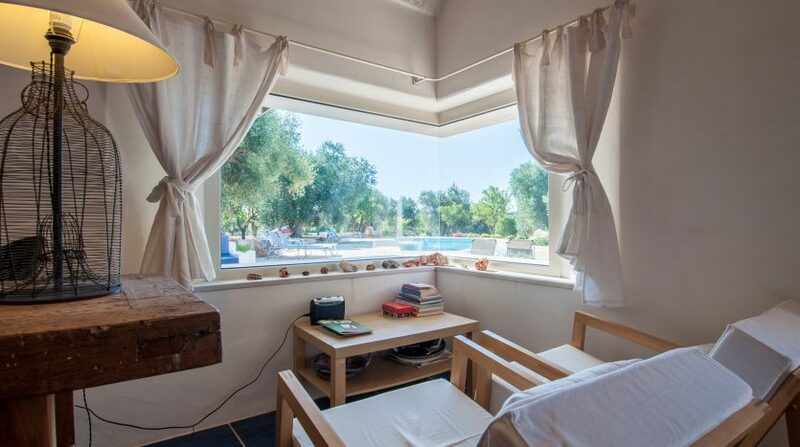 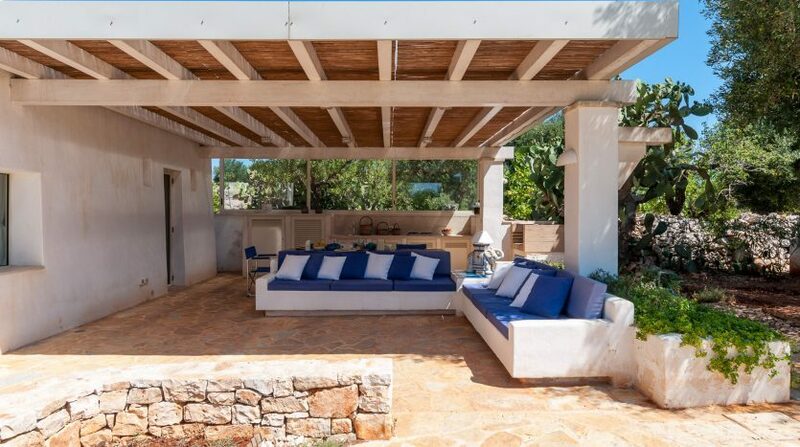 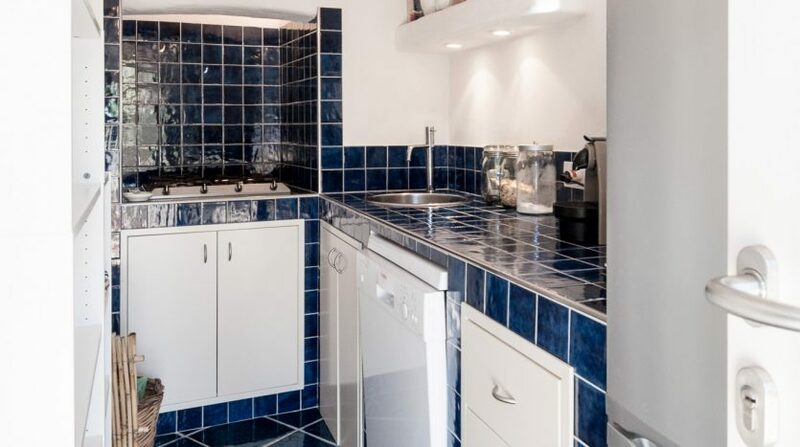 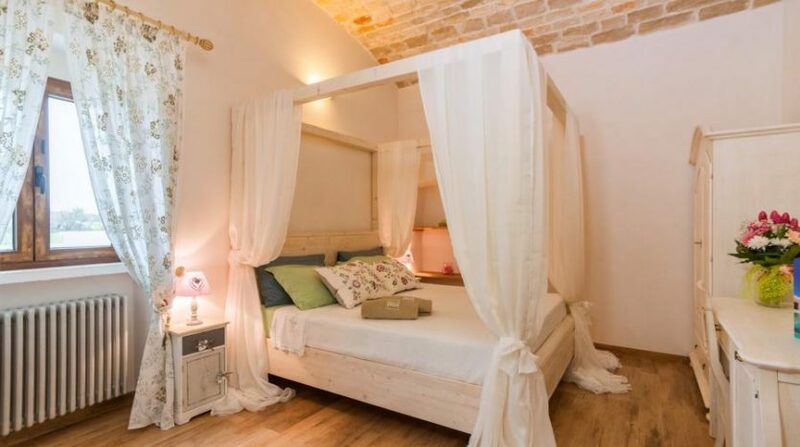 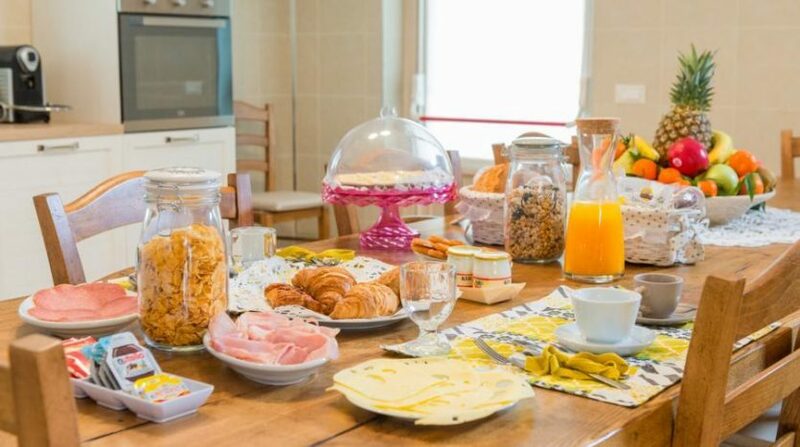 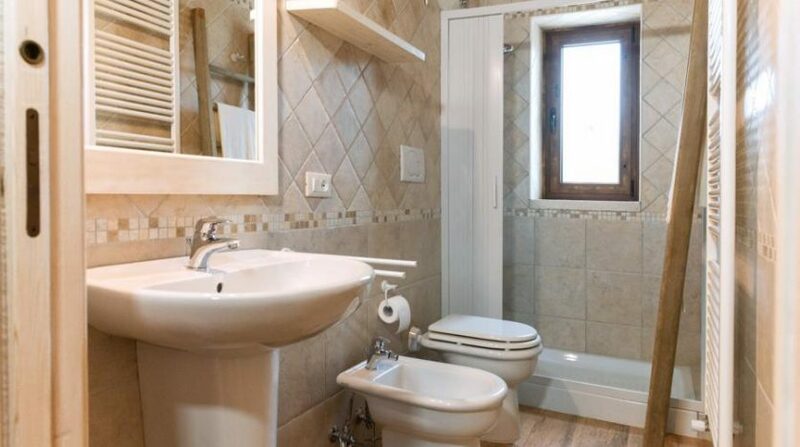 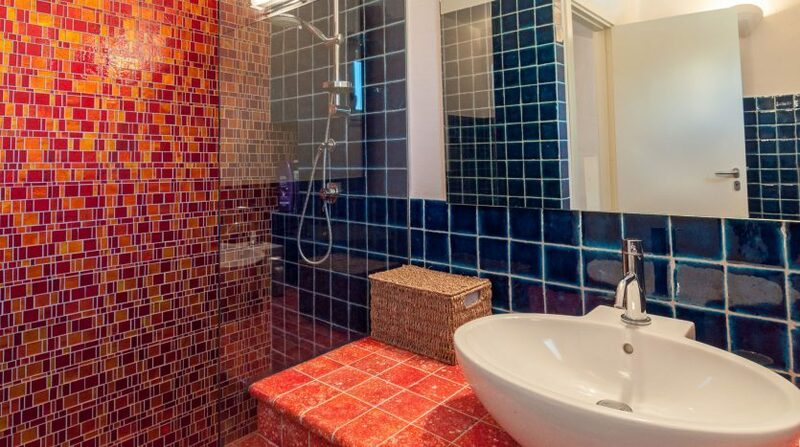 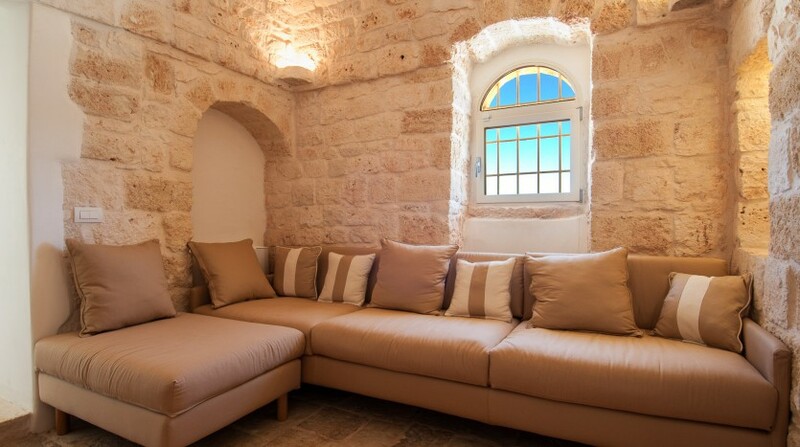 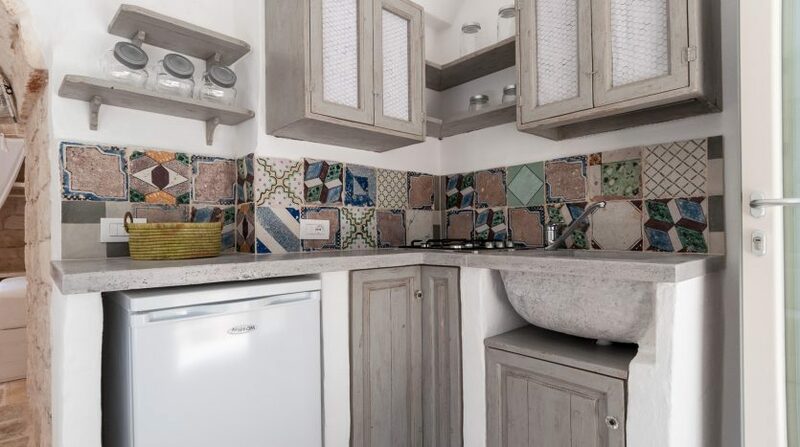 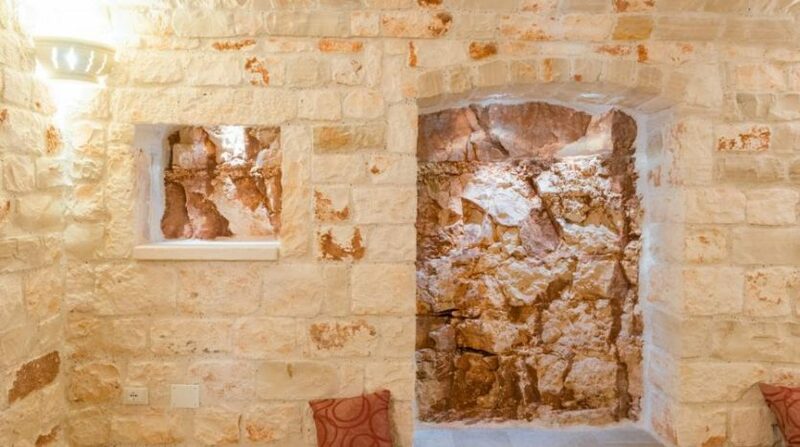 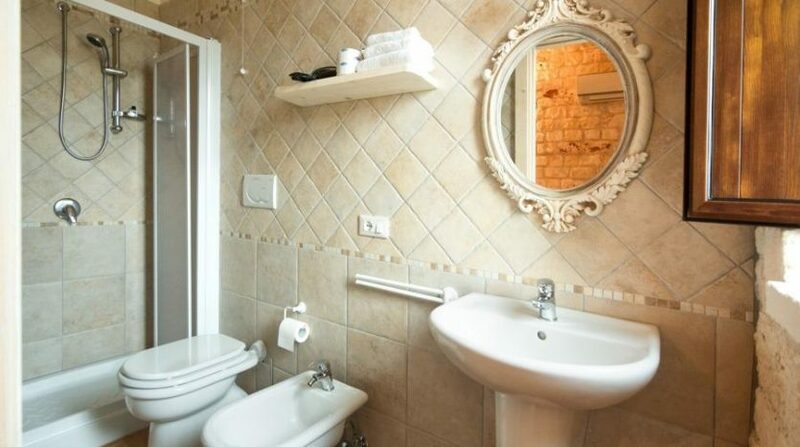 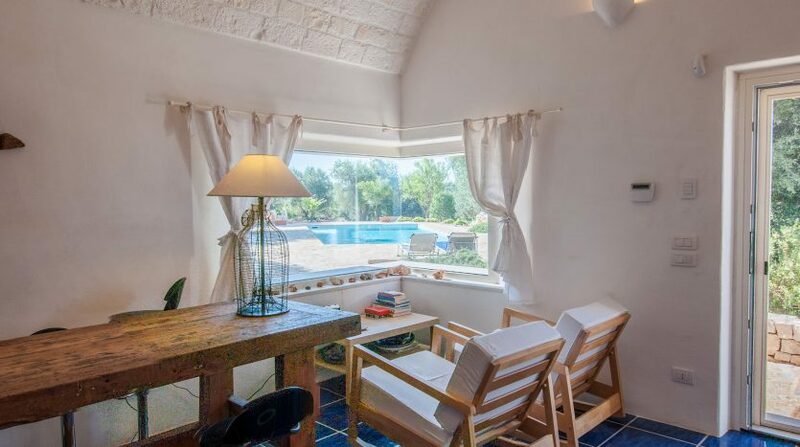 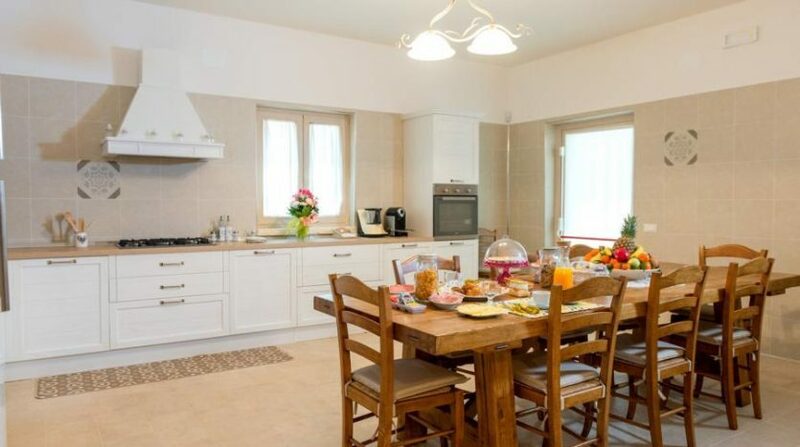 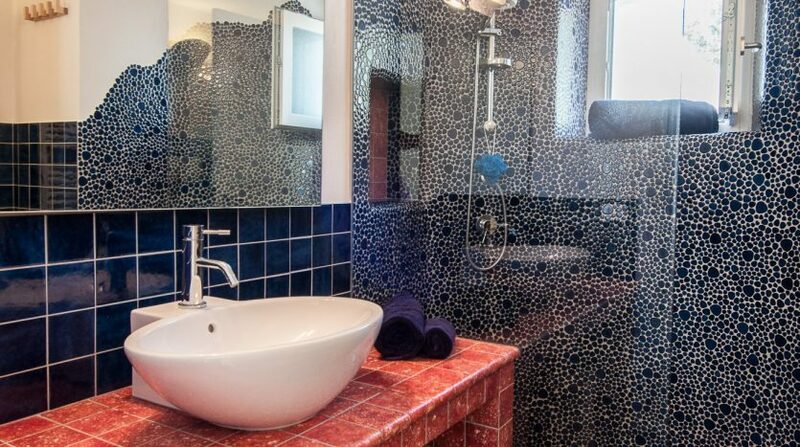 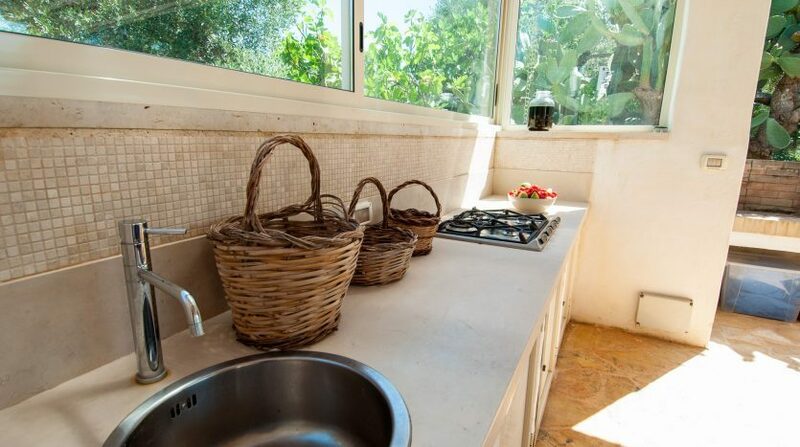 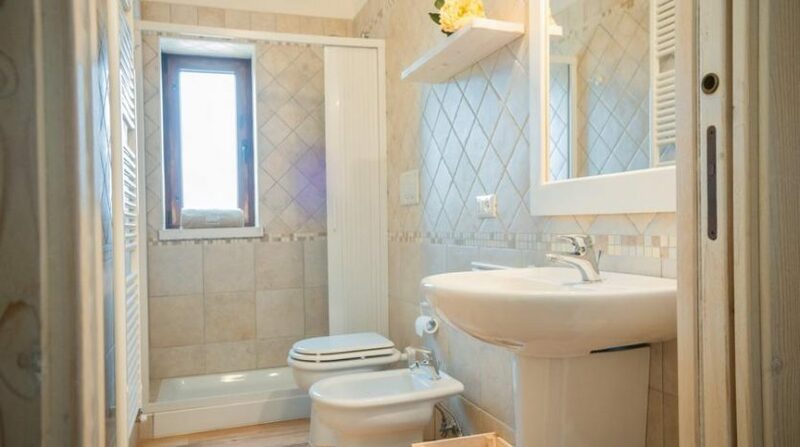 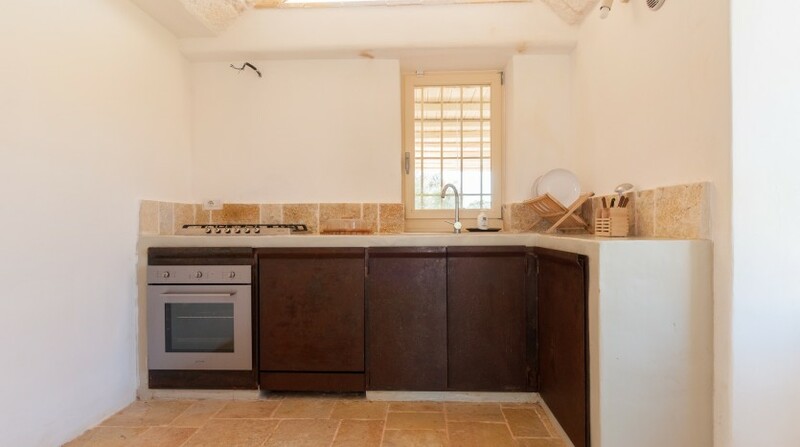 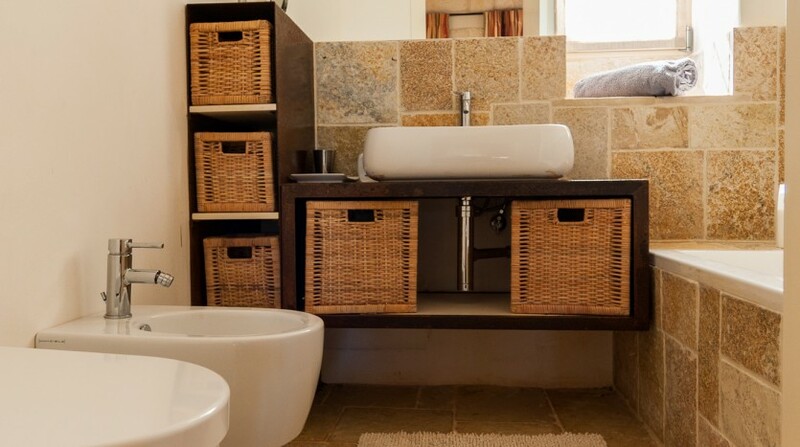 The villa was recently refurbished, and now accommodates as many as 12 guests. 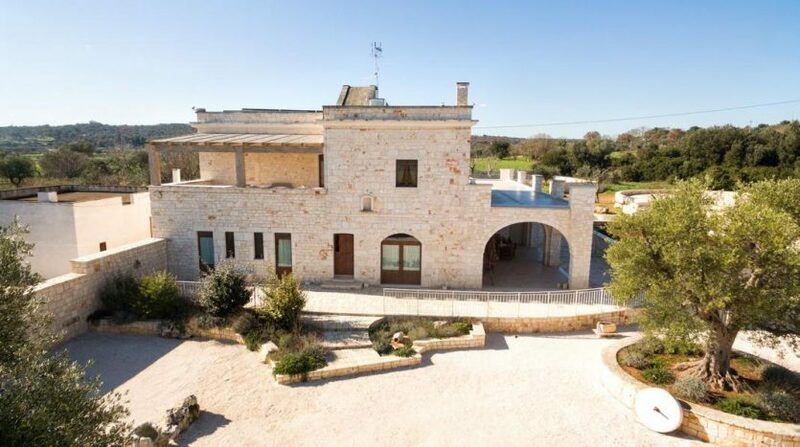 The character of this lovely stone-built mansion reflects the characteristic architecture that permeates the Itria Valley. 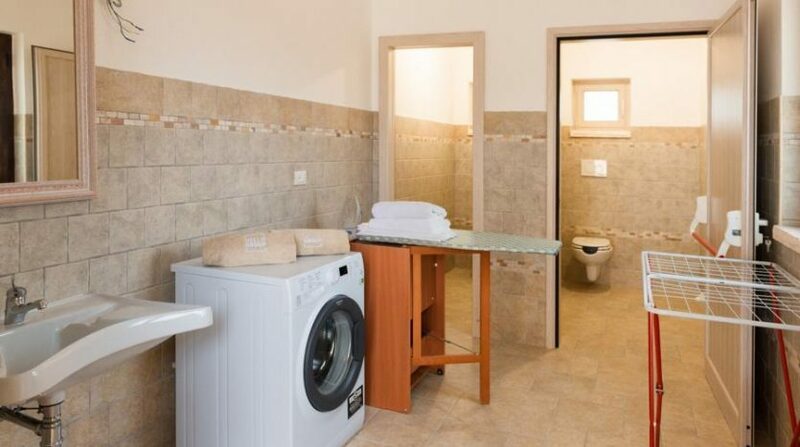 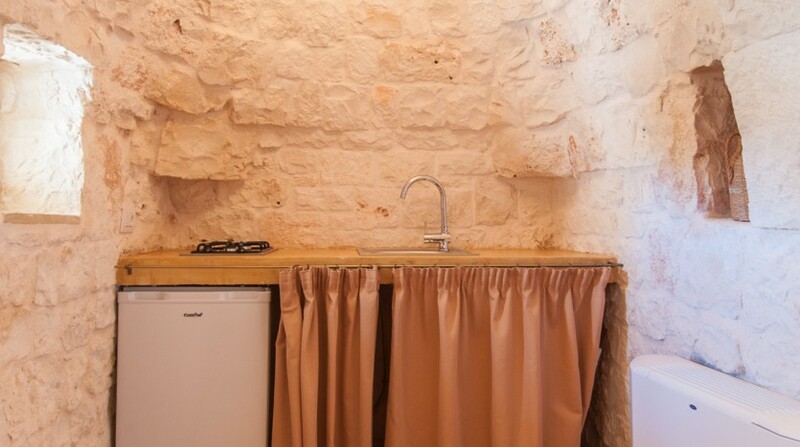 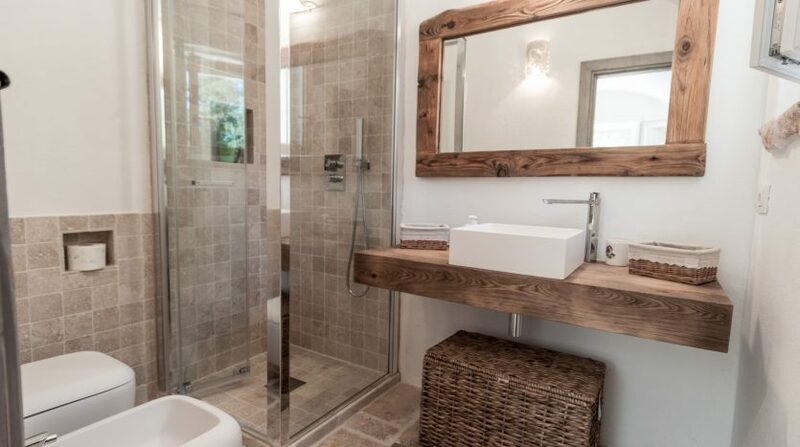 Every single one of its six bedrooms has an en-suite bathroom with toilet and shower, is air conditioned and comes equipped with its own fridge. 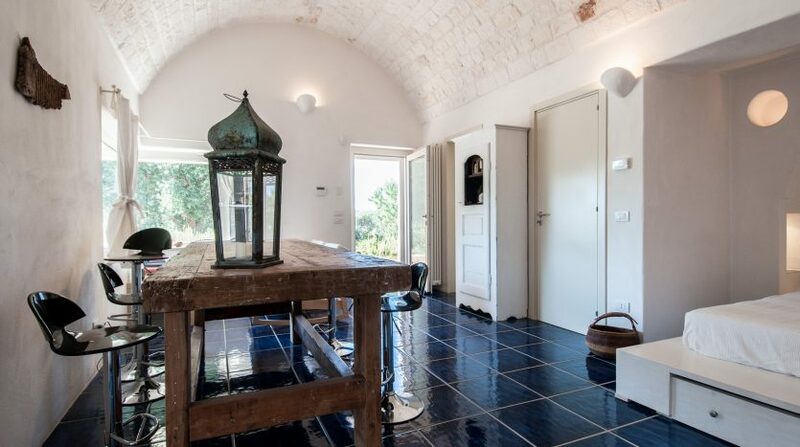 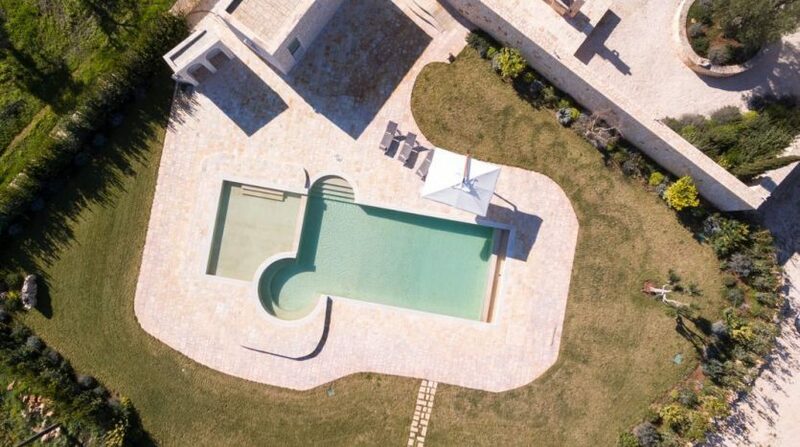 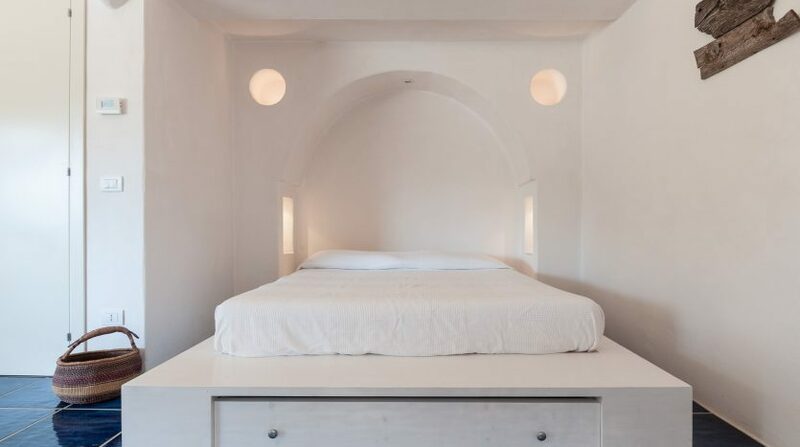 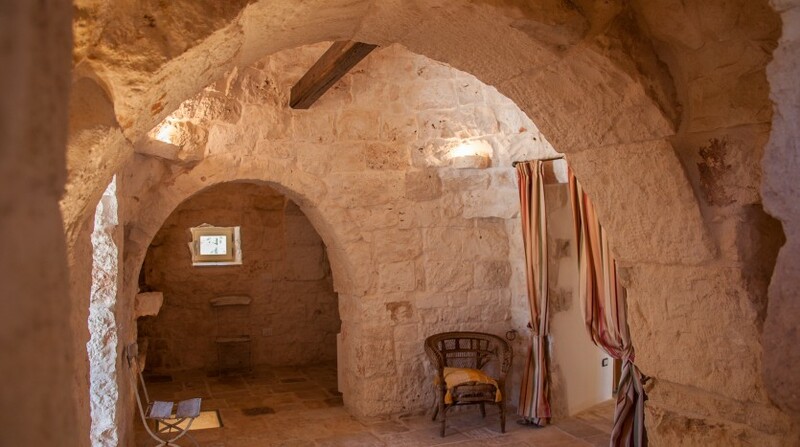 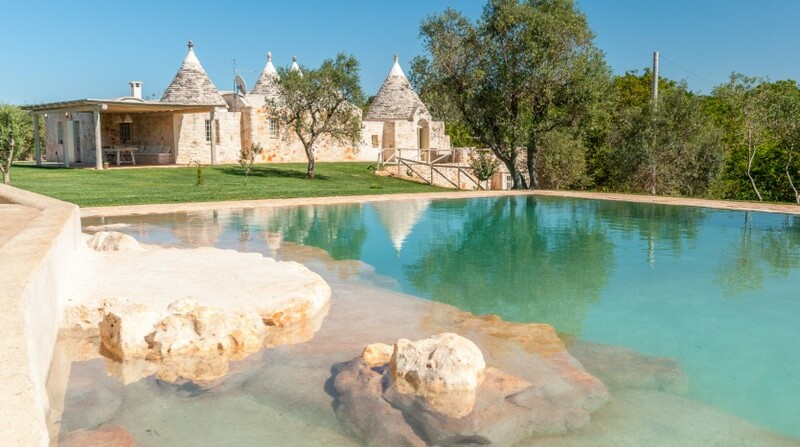 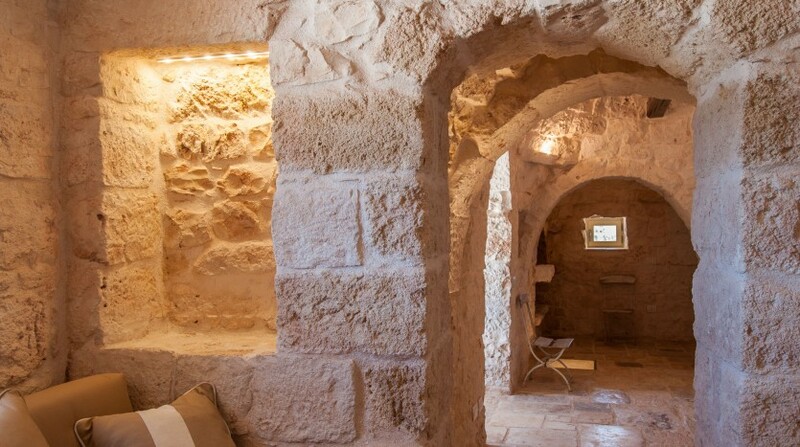 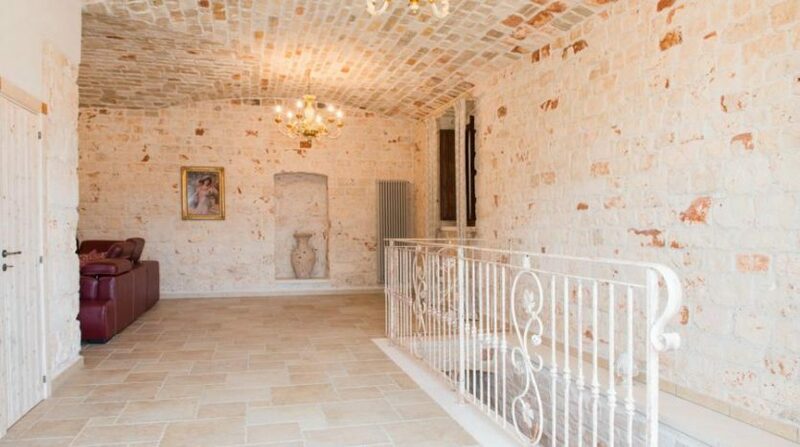 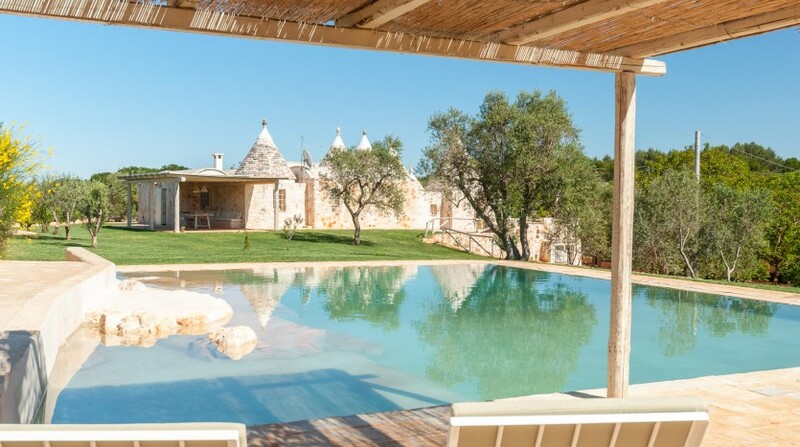 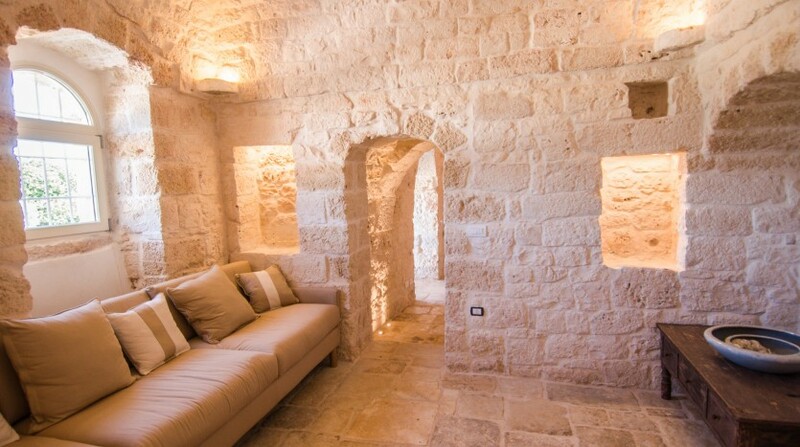 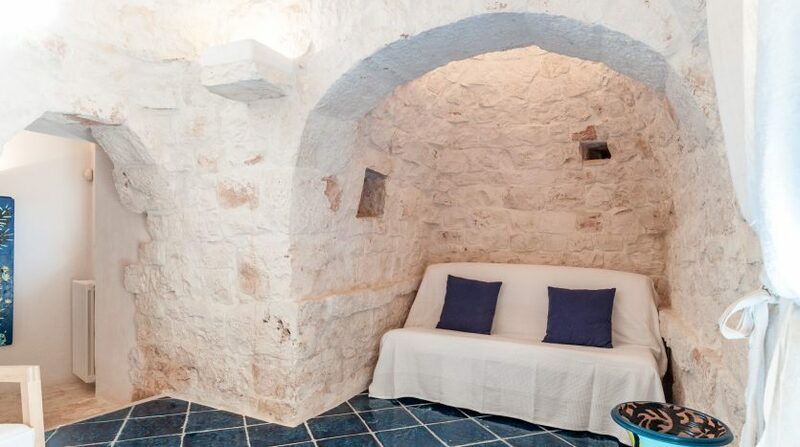 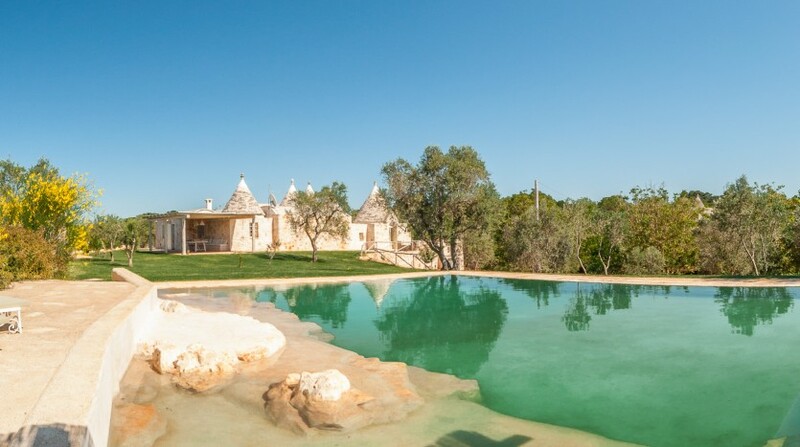 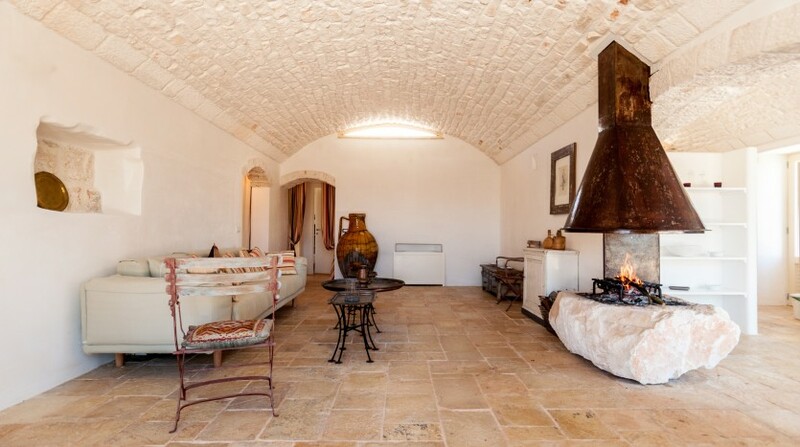 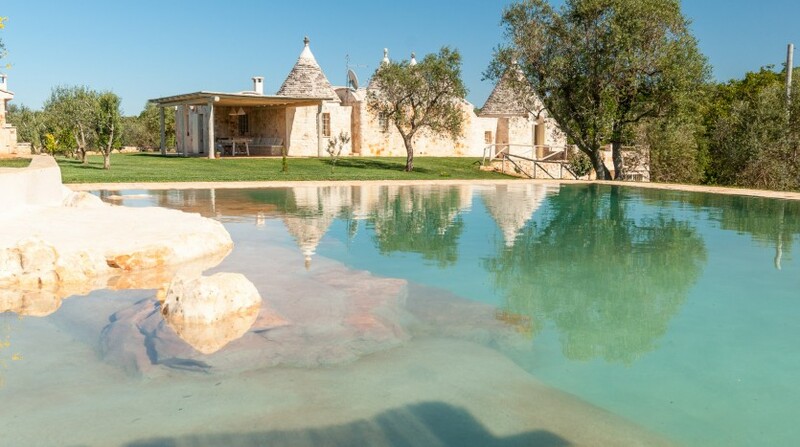 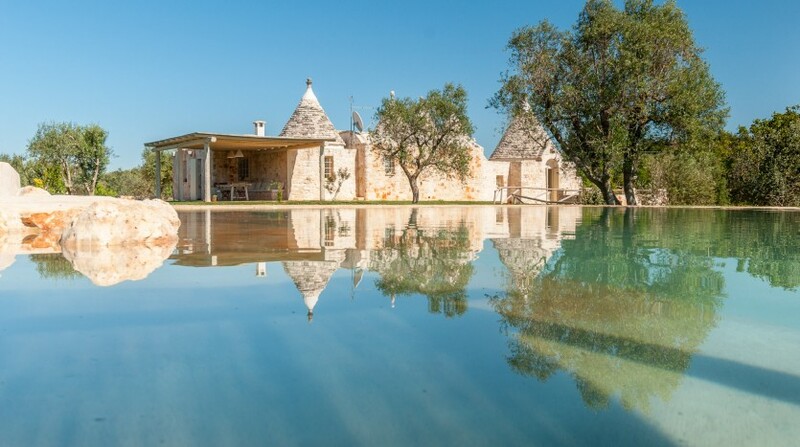 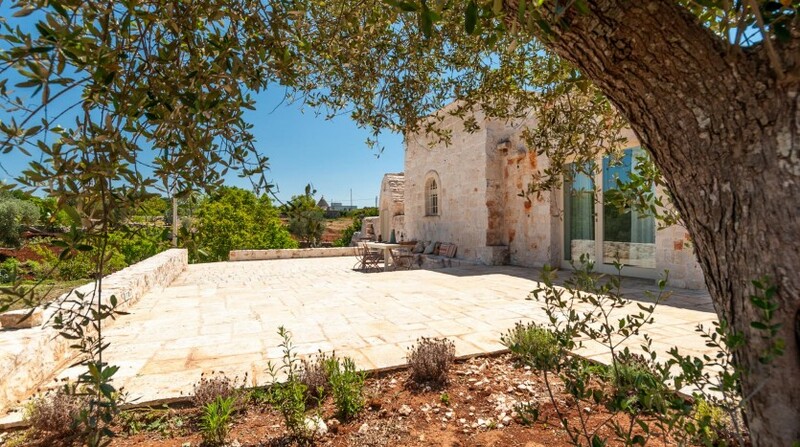 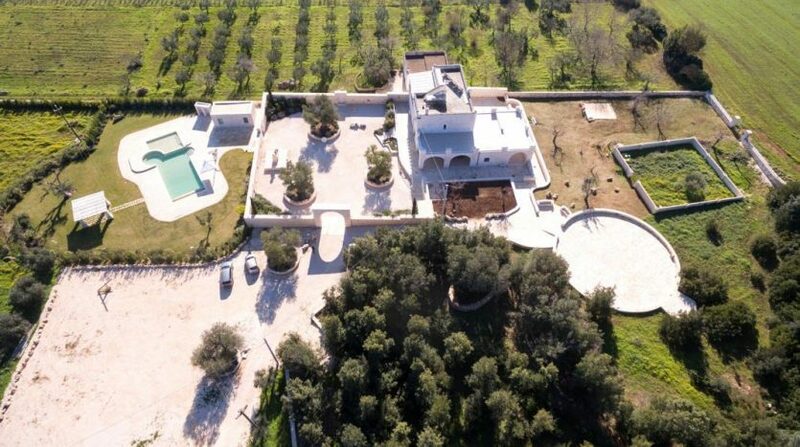 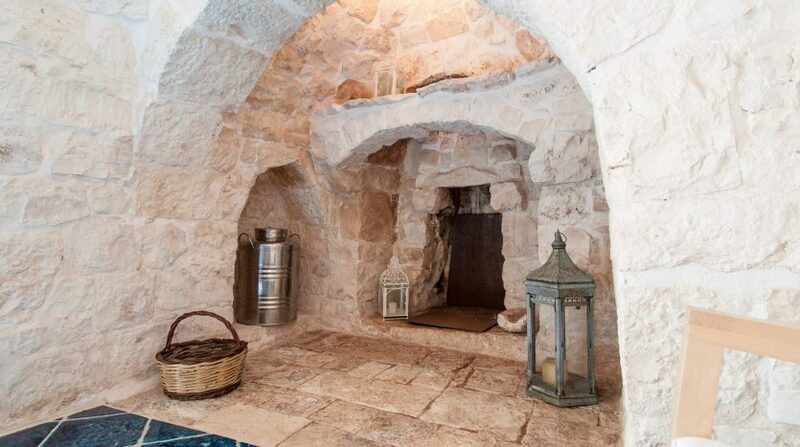 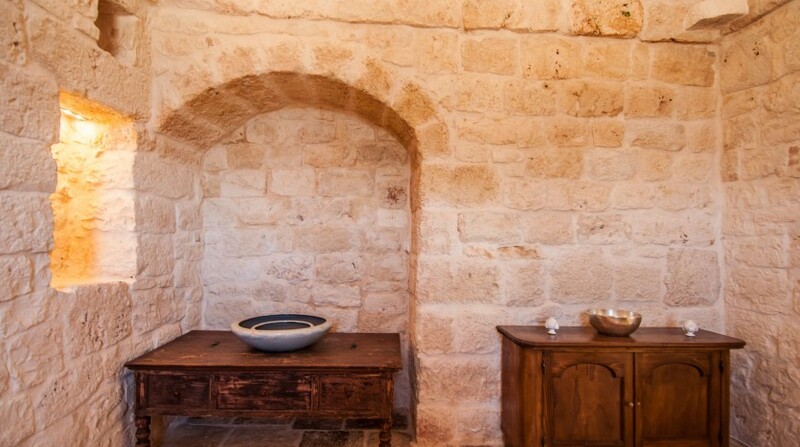 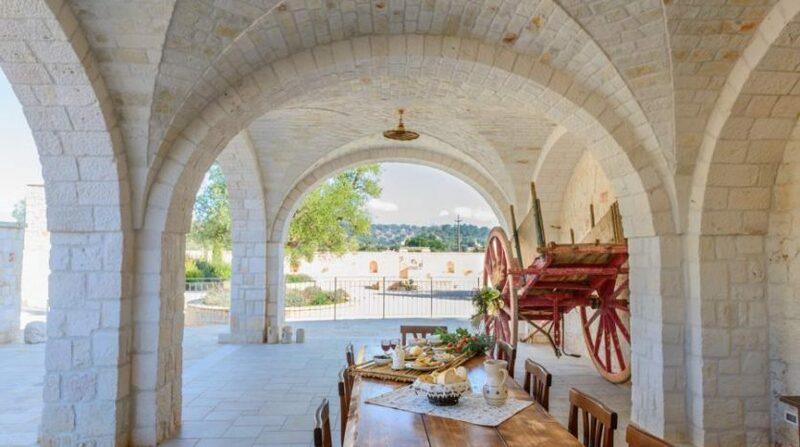 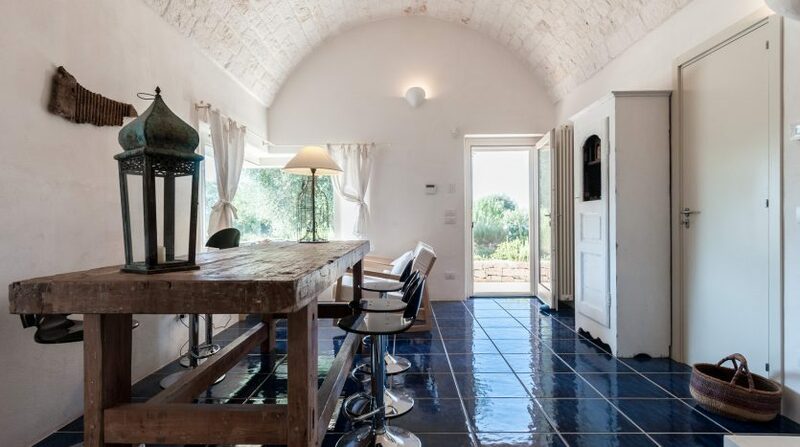 This enchanting masseria with pool in Apulia is spread out across three floors. 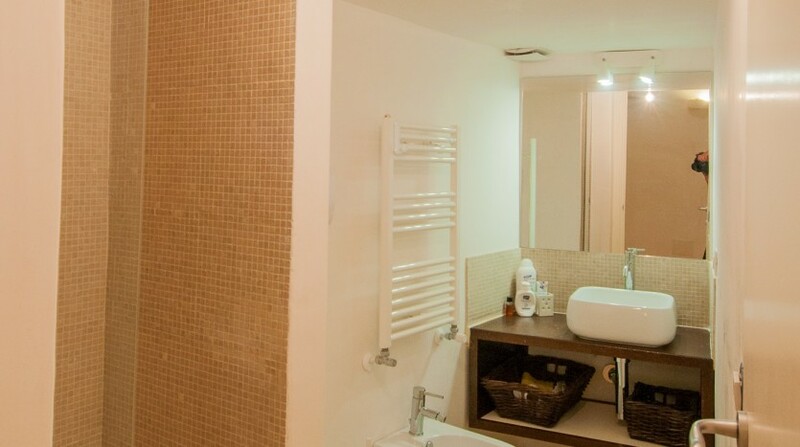 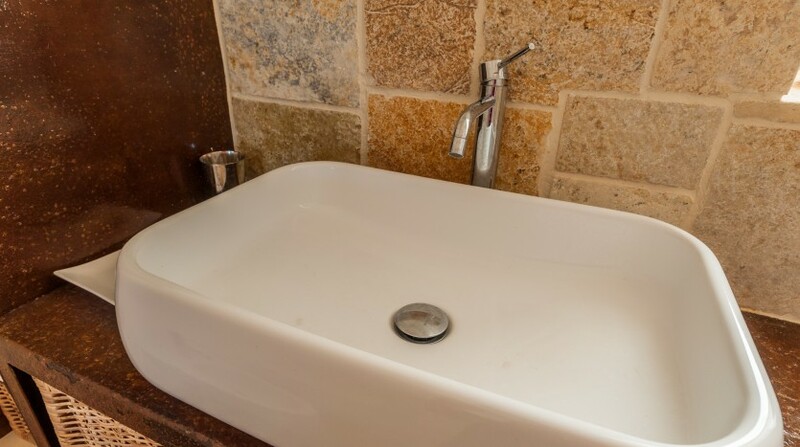 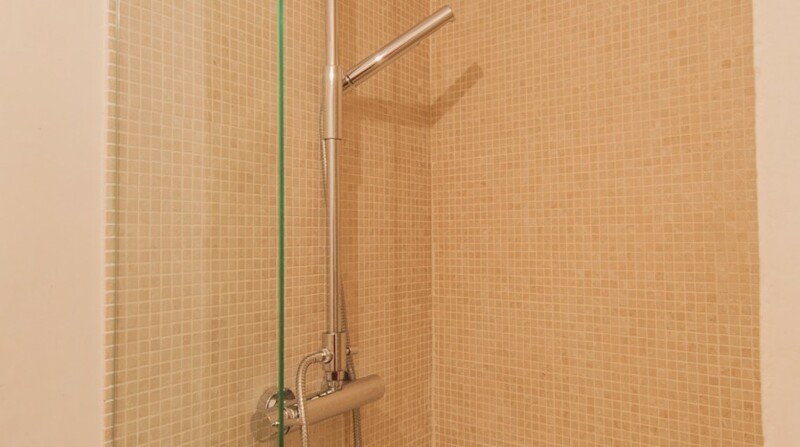 The ground floor comprises three bedrooms, a living area, a large kitchen with state-of-the-art equipment, a utility room and a bathroom suitable for people with disabilities. 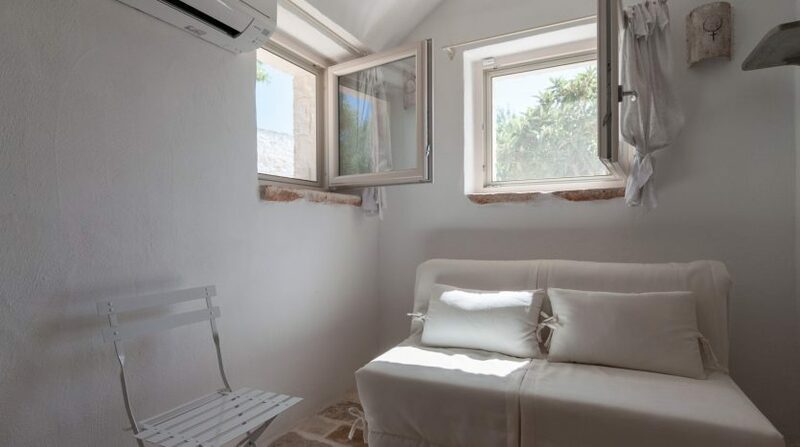 The other three bedrooms can be found on the second floor, which gives access to an outdoor terrace with delightful vistas. 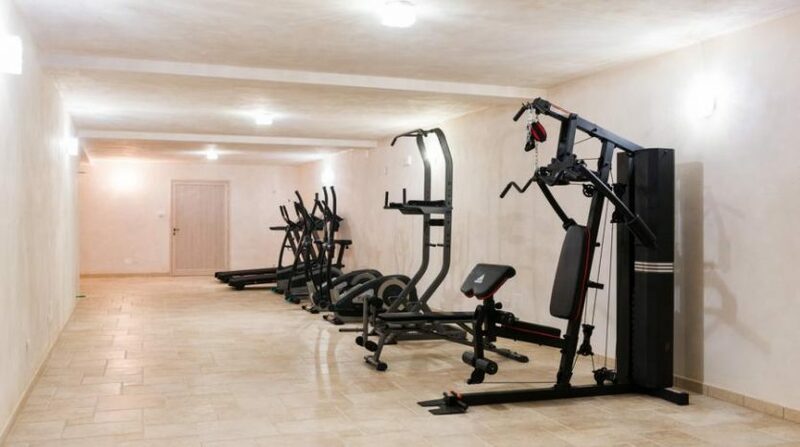 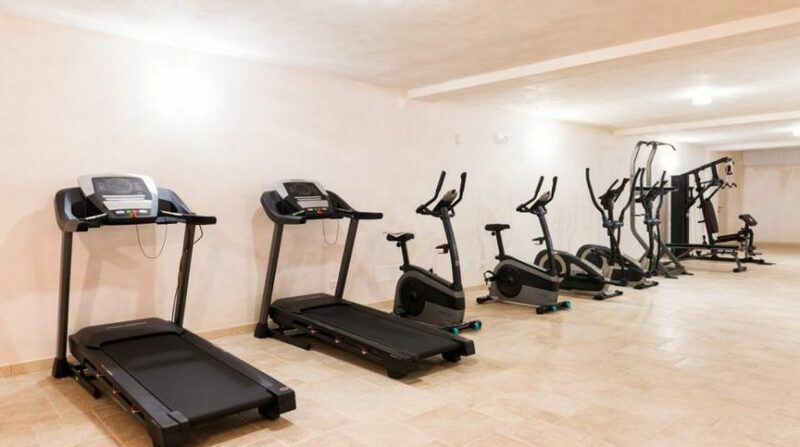 The basement is home to a sizeable fitness studio – a highlight for guests who want to keep in shape during their holiday. 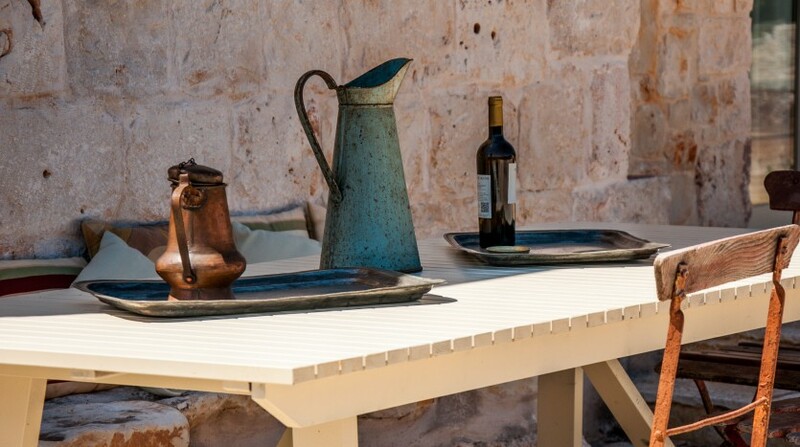 The outdoor terrace can also be reached from the kitchen, and is the perfect place for outdoor dining with a group of friends or family. 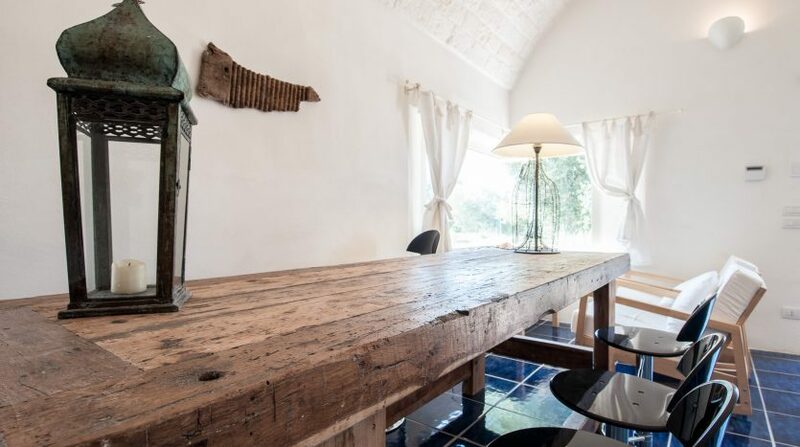 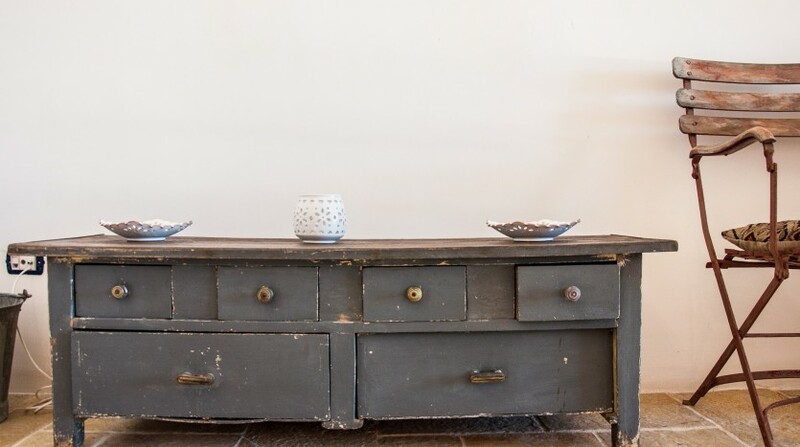 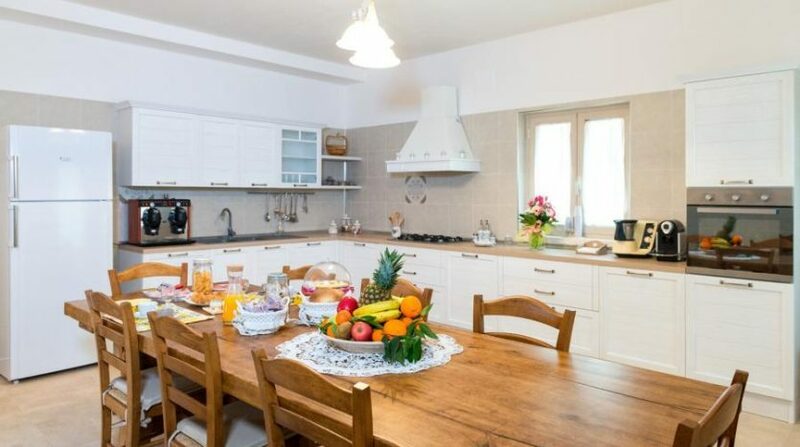 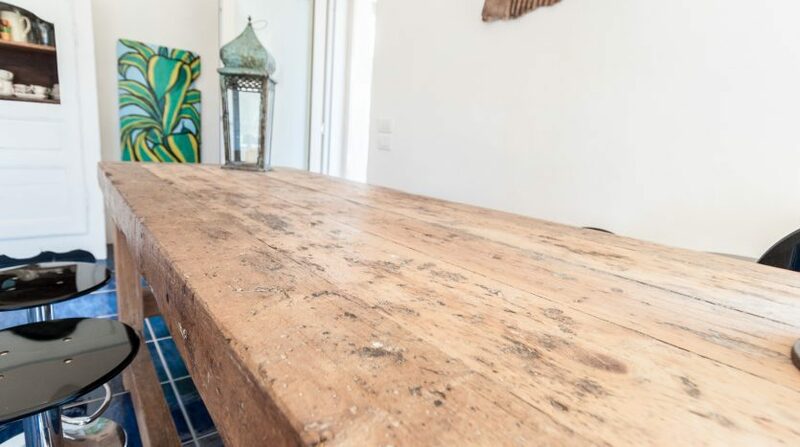 A large dining table, perfect for enjoying the cuisine of Apulia and trying out some of its recipes. 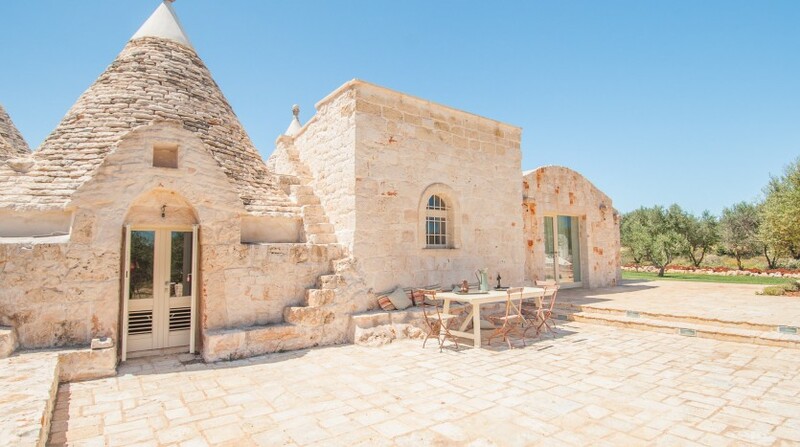 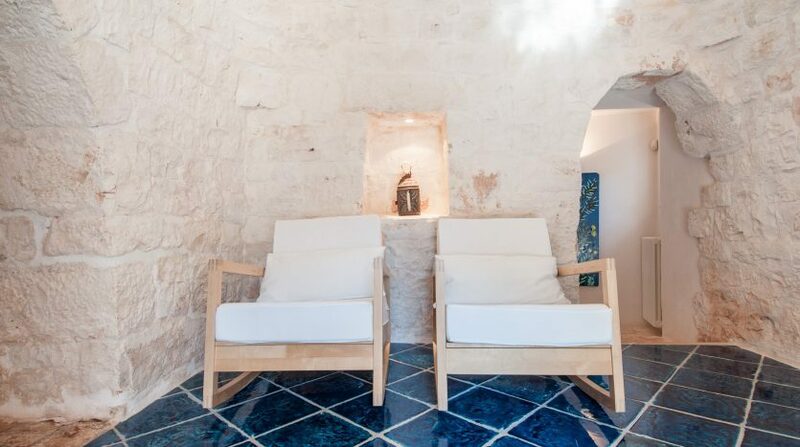 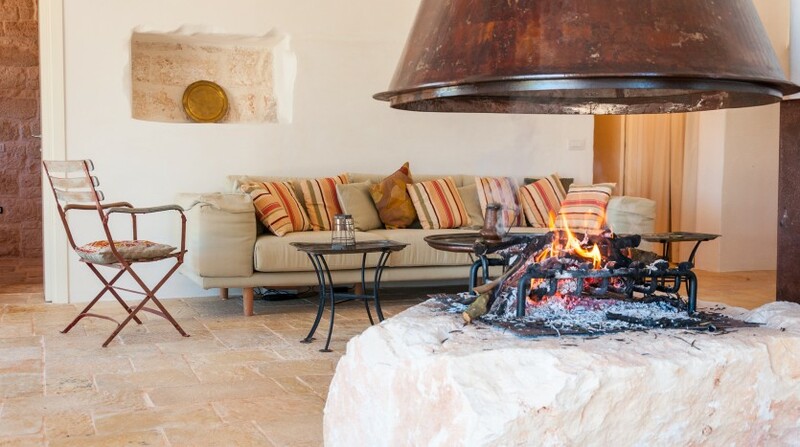 This masseria also comes with a lovely interior courtyard that provides the ideal setting for a private celebration – a birthday, for example. 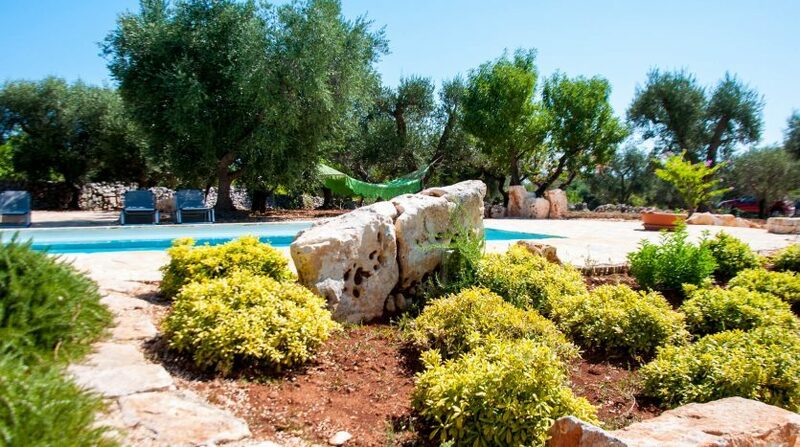 Outdoors, you will find a wonderful array of pools with hydro-massage facilities, as well as a paddling pool with a depth of only 40 centimetres, making it perfect for small children. 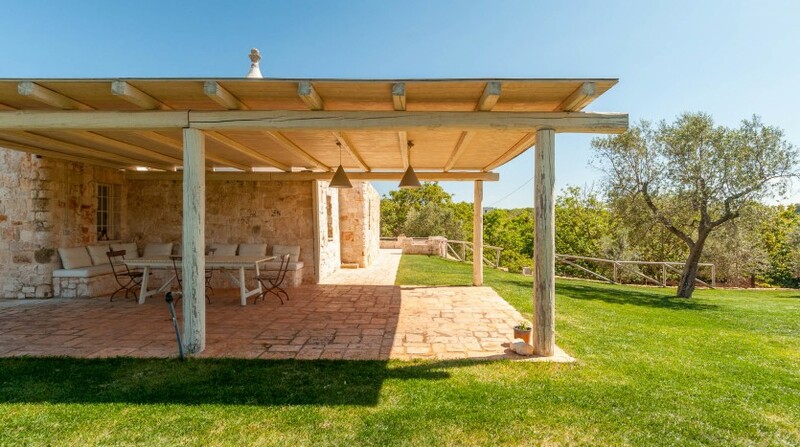 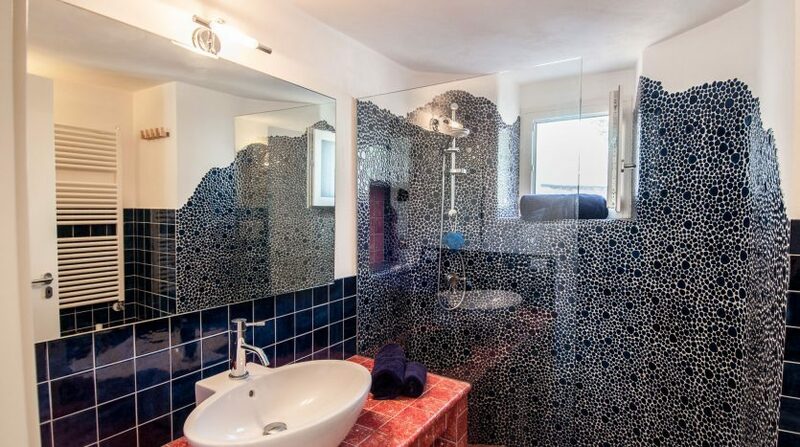 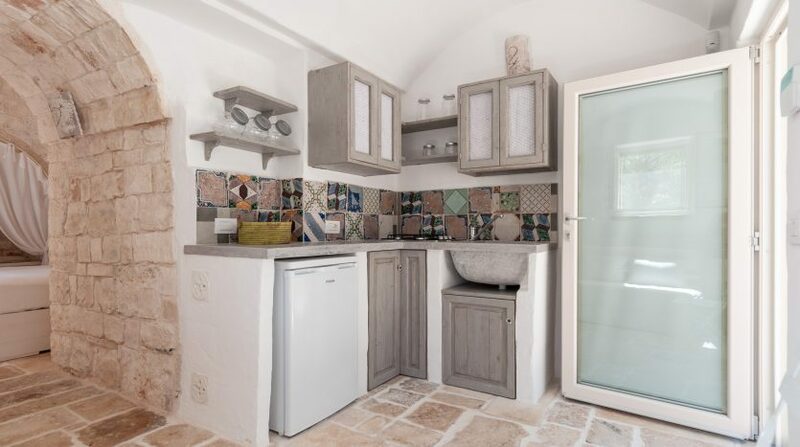 Expanses of lawn, two outdoor showers, a lovely pavilion and a bathroom ensure that the surroundings of this villa provide everything you could possibly wish for. 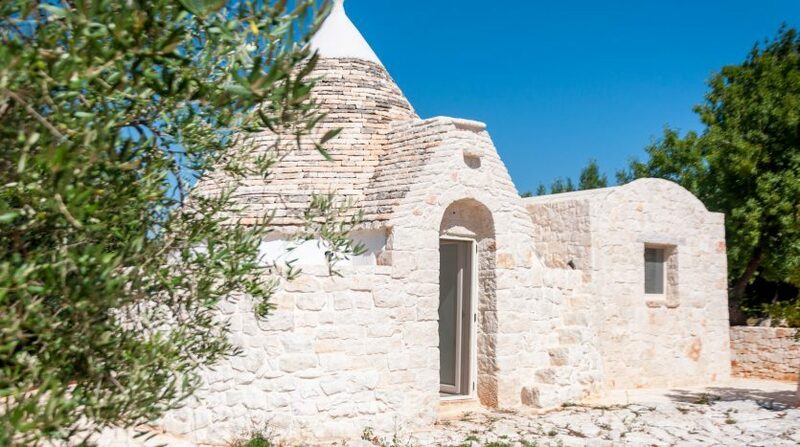 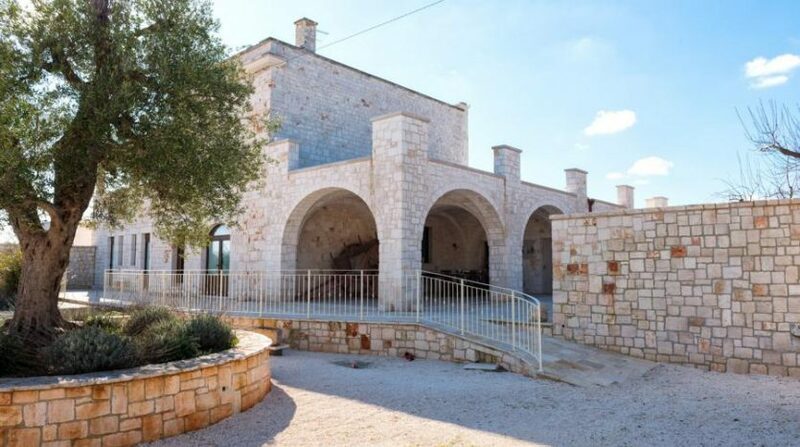 This masseria nestles in the Itria valley, ranked amongst the loveliest areas in Apulia and also rated one of the most interesting. 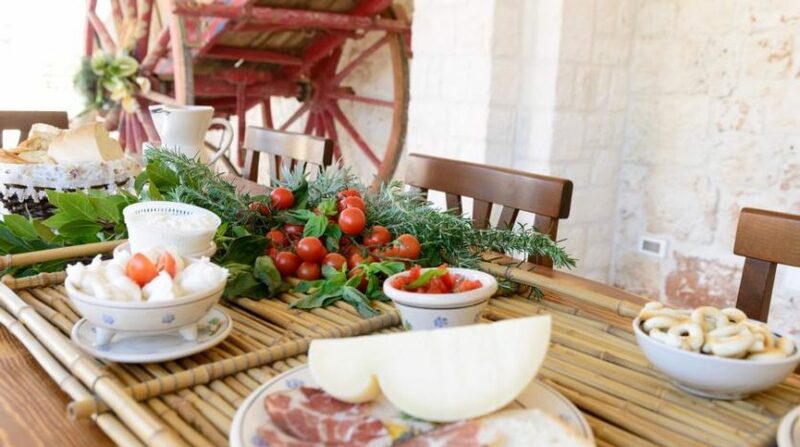 The nearest town is Ceglie Messapica, widely considered to be the gastronomic capital of Apulia. 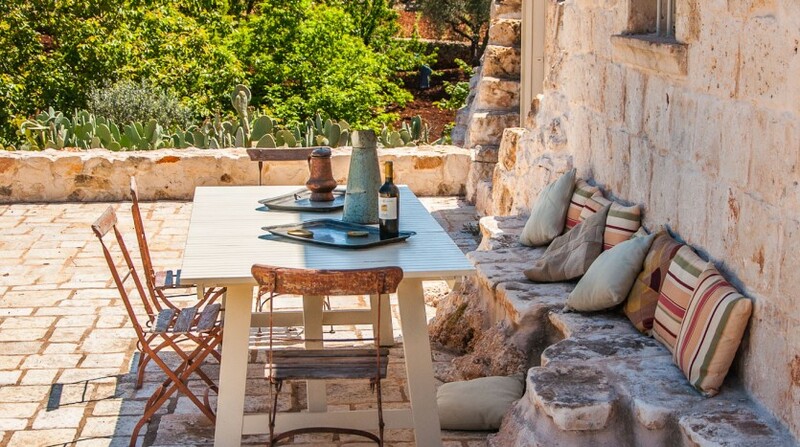 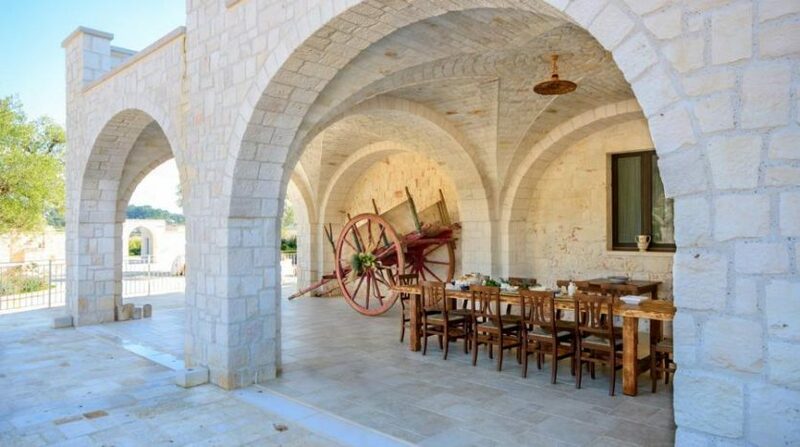 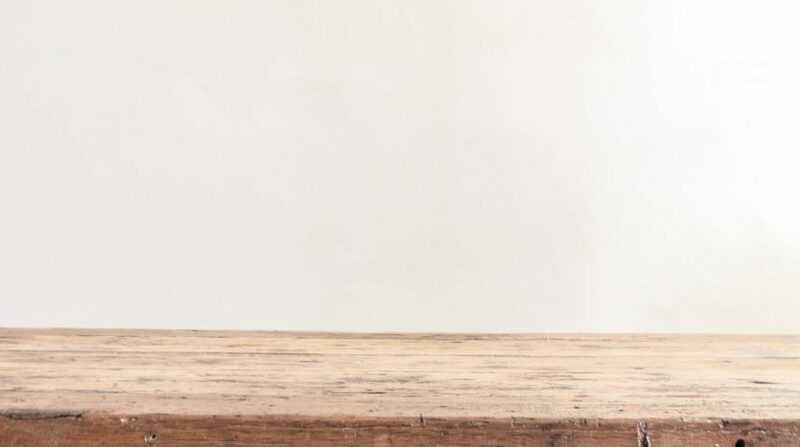 This is where you can enjoy your culinary experience to the full in one of the many starred restaurants surrounded by centuries-old olive groves. 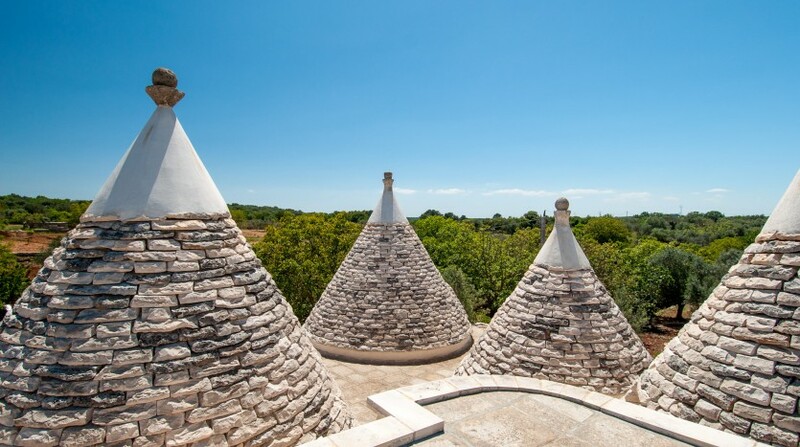 You do not have to travel far to visit one of these lovely cities: Ostuni, Alberobello, Locorotondo, Monopoli or Polignano a Mare. 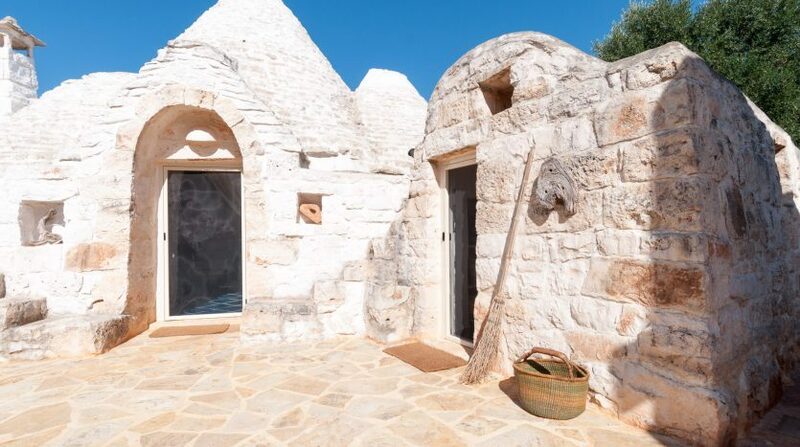 Famous for its whitewashed houses, Ostuni is known all over the world as the White City, or “Città Bianca”. 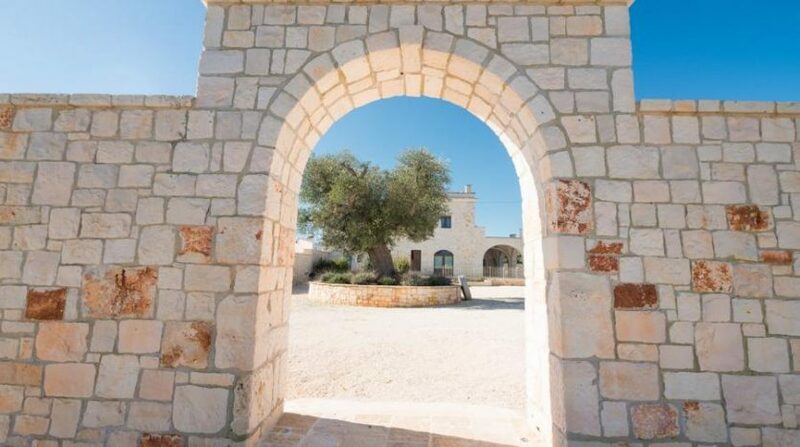 The masseria is located approx. 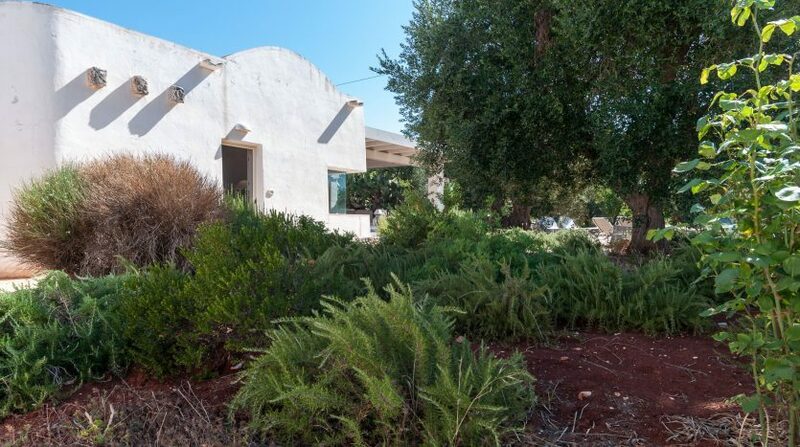 20 km inland from the sea.